Outreach for any marketing initiatives including link building requires proper timing. When publishers are at the moment when they need what you offer, the likelihood of getting the link increases. It is at a content creators' most receptive timing that they consider an exemplary content, which is way more effective than begging them for links when you start promoting your online asset. In this post, we'll cover the factors that would help you and I determine the highest receptivity of potential linkers. Normally, writers and publishers from niche blogs and other publications don't have a non-stop writing schedule for their online content. They have their own sets of phase - from content ideation, research for references, drafting, proofreading, and publishing, which allows them to secure the finest quality in every detail of its content creation process. Consider the intent of a content creator performing a search query for his research. He includes parts of other online references - pages from other websites that will be of useful information to the content he is producing. You can use Ahrefs' Question Feature for discovering questions your users are looking for in your industry. There are questions where there is a need for a more detailed article or even a shoot a video for better content consumption. You may have to find and hire academic and industry experts to help you with industry jargons - pull them off and create a list of terms and definitions that will be of use to content publishers. There are a lot of glossaries. So, one you should be putting out must cover more entries and should have highlight examples that are most commonly used in the market. Influencers (e.g. vloggers) now have the luxury of producing video reactions to latest trending news that would get buy-in and support from other content publishers (if done with finesse quality - i.e. practical advice or information on the subject matter). For retailers, you can invest in content pieces that compare leading products or brands in your space. Search for any productA vs product B high search volume phrases in Ahrefs and start determining if it's worth producing into content. I mostly see fact charts and tables for comparisons, but if you want to stand out, you can make little efforts to interview experts for impartial reviews or opinions. When a website has been updated just recently - i.e. last week, last month or even last 24 hours, there is a higher likelihood for response to an irresistible pitch. With very little efforts, one can find these very hot link prospects. If you're doing link prospecting for a while, you would find Tools filter to be extremely valuable in refining your backlink targets. You'll be able to see newly published pages. There are a lot of things you can leverage on this part, but one you can completely observe is there are many industries where there are missing good quality photos. So if a recently published article has a mediocre image, you can quickly send a pitch providing a list of high-quality images they can use for their blogs. Independent bloggers normally don't have graphic artists on their team, so this is a good way to appeal to content creators in your space. If you have a plethora of high-quality images, you can do a massive reverse search for these visual content. 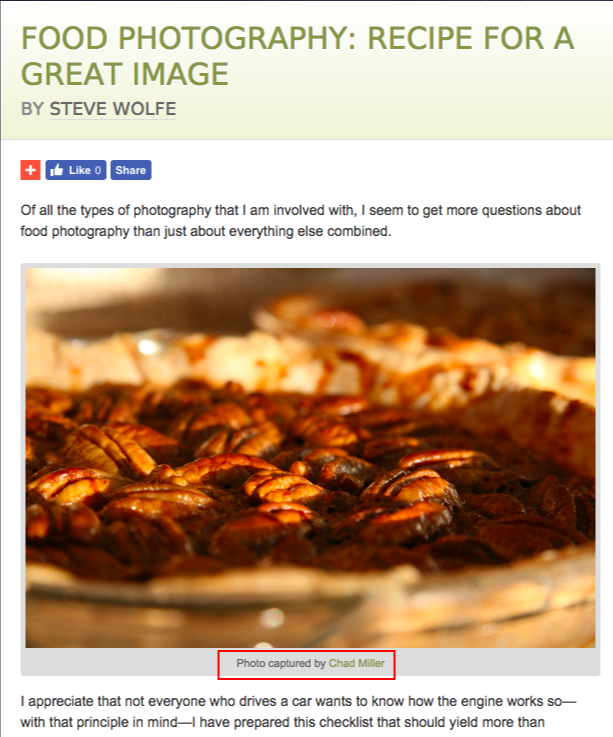 This is to ensure you monitor any non-attributed images you can reach out to and ask to credit images to your website. Journalists have timing where they are also at their highest receptivity. This is true when they already start looking for industry people to interview..
HARO is a great place to discover journalists seeking for stories your brand may be of interest. Another channel that is often underutilized is Twitter. With a few Twitter searches, one can find enough available niche-specific story requests from journalists. While most publication people would include #journorequest in their Tweets, you won't find this very often to be true. There would be a lot of noise in Twitter search results, so you have to filter ones that are only journorequest and at the same time relevant to your industry. One advantage of these non-common journorequest Twitter tweets is that they don't receive pitches as much as those users of #journorequest tweets that link builders and PRs reached out to. We all aim for the highest receptivity in outreach emails. This is only possible if we are able to know and understand the stages where these content creators, potential linkers, and journalists are likely to respond. With the above practical tips on strategic link prospecting for most receptive link targets, you'll able to expect more results in link performance. Learning how to find backlinks shouldn't be too difficult for those people who are starting out in the SEO (link building) industry. Given that there are proven ways to source pages that you can potentially earn or build links from, you only have to discover these methods, apply it to your own link building campaign and collect a solid list of available link opportunities. The hardest part is not really finding backlinks, but the actual pursuit of them in outreach. So why give yourself too much difficulty? Get a quick headstart in looking for backlinks. 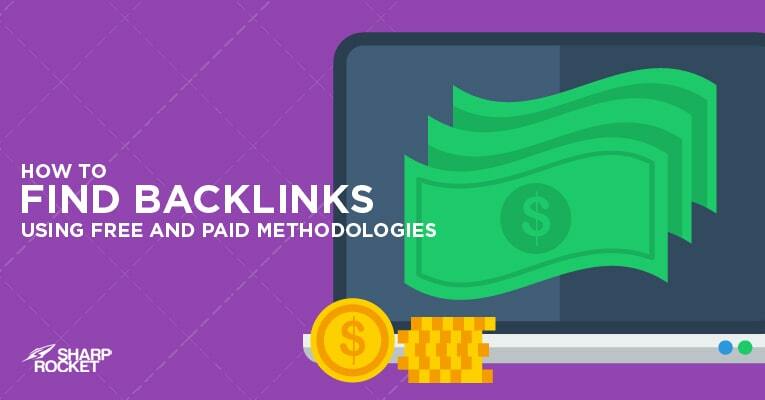 In this post, we'll cover primary methodologies in finding these backlinks that are easy to use. Follow each process carefully and get the most number of link opportunities in your space. Just by taking a Google search for the keyphrase, "link building tools", you'll find all sorts of articles that curate quote and quote the best SEO software. Some of these tools are designed just for link building while others aid you with every activity in the SEO process. Note: You may want to check out my own curation of recommended link building tools. Going back, what I highly recommended is to check and try out tools that are designed just for link building. The reason behind is that they have the best features, or are best at delivering value in terms of speed, flexibility and results for a certain link building activity. 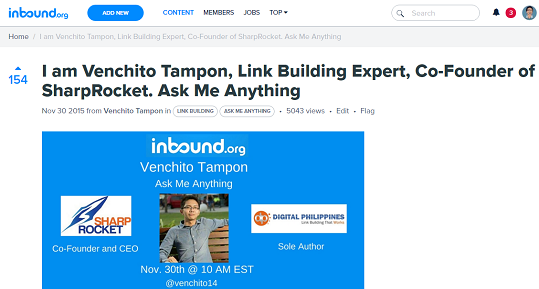 Let's start with the most-loved link building tool - Ahrefs. Ahrefs is one of my go-to product in having a quick look at the best backlinks of a website. Whether it's a website of a competitor, a non-competing blog that produces high-quality content assets for similar topics our client also covers about or just by monitoring similar content production trends of websites from other industries, Ahrefs can provide with a solid view of backlinks. 1. Viewing the best backlinks of a competitor. Note: What we refer as competitors are local and/or niche brands or companies you're competing with for a specific offering (either products or services) that have their own websites and maybe are also pursuing organic growth for their business through SEO. If the competitor you know doesn't have its own website, you don't have to consider them as a search competitor. In a case you don't who are your competitors are, try this out. Do a quick Google search for your primary keyword. 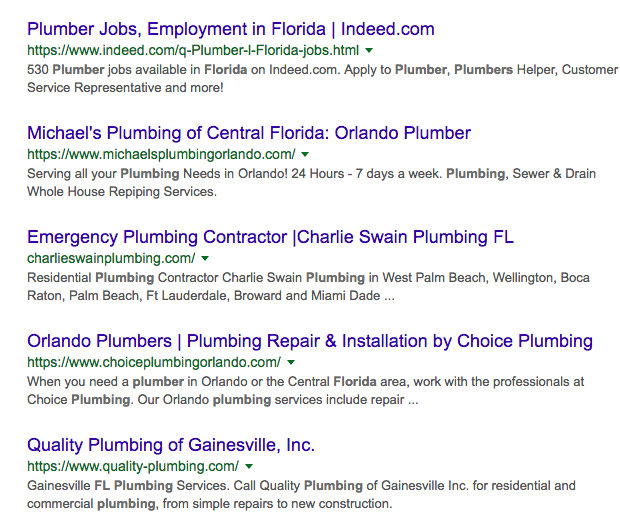 First page results for the keyphrase, "plumbing florida keyword"
All websites ranking in the first top spots of page 1 are possibly your search direct competitors. Of course, some may just be in a retail business having one page ranking for your target keyword and may not be the exact competitors you're looking for. Other pages maybe a curated list of products/services — so it's very important that you manually check each one of them and see if they are actually direct competitors of your offering. Another method to find search direct competitors is to use Ahrefs competing domains feature. Simply enter your domain in Ahrefs' Site Explorer and click Competing Domains. This will give you a rundown of domains competing with your website. Copy the domain of the website. Paste it on the Ahrefs' Site Explorer box for domain URL. Click on Backlinks under the Backlink profile (located at the upper left section). 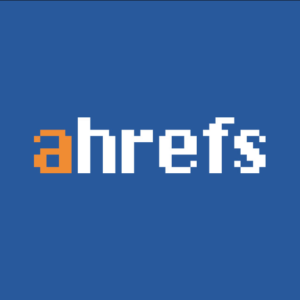 Note: If you are looking for backlinks for a specific page, not the entire website, use the URL option of Ahrefs' Site Explorer. But in the case of a category or blog section, you should choose their Prefix option. 2. Getting the data of backlinks. By looking at the first set of backlinks and their respective backlink data, you'll have a preview understanding of how natural backlinks were built. For example, if you see that most of the top backlinks have branded anchor texts, meaning that the title or brand of the website are the clickable words and of which are pointing to content (informational page) of the website, it might signal that backlink building were naturally or customly made, and not fully manipulated. That's not absolute, but can overall give you an idea of how they approach link building in general. 3. Filtering and sorting backlinks. Part of finding backlinks is the ability to make high use of you what you've found or collected. In doing that, you need to filter your backlinks. Filtering helps you get the most out of your backlink prospecting, as you'll be able to separate the wheat from the chaff and do so much with your high-quality prospects. There are different filters you can play with in Ahrefs platform, but filters are based on the purpose of your link building campaign - what type of links are you trying to acquire for your website. If you are trying to improve search performance of a newly published content on your blog, then do-follow editorial links on blogs is the type of link that will suit you best. To look for these do-follow editorial links in Ahrefs, choose Dofollow as your Link Type, Blogs in Platform and English for Language. Another example. 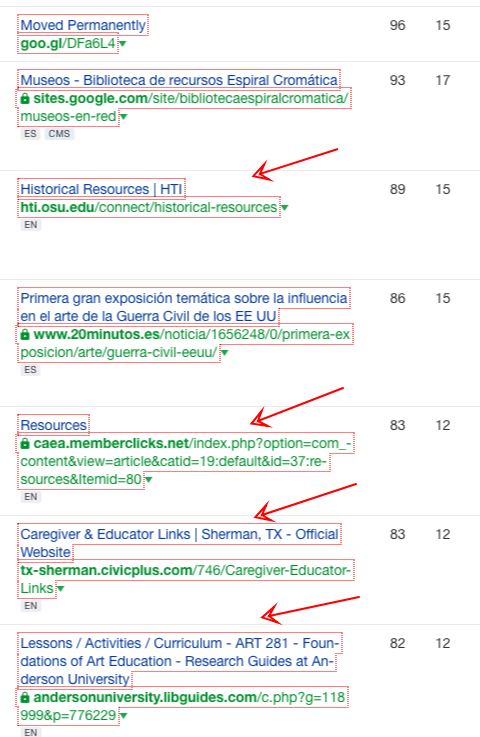 If you want to know whose .edu websites are linking to your competitors and understand how they (competitor) got these links, you may use filters Educational as Link Type and English for Language. Now, you have a list of .edu links you can manually check for further understanding of how you could actually replicate them. Filtering and sorting backlinks isn't only necessarily to get the desired links for a campaign purpose, but also in generating linkable content ideas. To find these ideas, instead of going through the Backlink Profile section of Ahrefs, you may move to Pages section and click on either Best by Backlinks or Best by Links' Growth. Through those filters, you will see pages that have the most number of links and referring domains. This will serve you well if you're brainstorming for topics for content that have high chances of earning consistent links in your industry. Pro Tip: You can sort through your backlink prospects from highest to lowest of potential traffic from linking pages (pages where links are seen). This would help you customize your campaign to get links from valuable pages that would also earn links over time - these may drive more visits to your webpages (which will then possibly multiply to another set of links). 4. Understanding how backlinks were formed. Ahrefs does not only help you view backlinks of a competitor, get the desired backlink data, filter and sort them through to collect the most valuable links. The said tool can also aid in figuring out what approach has been used to facilitate link placements. For example, if you will know the recent links built to a website, it will lead you to identify some patterns that may occur, i.e. the common page being targeted by these links. 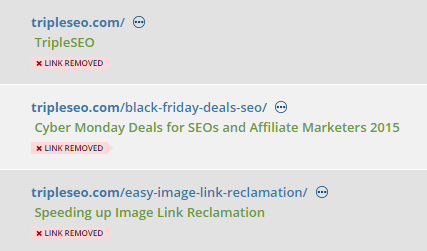 In Ahrefs, you can filter backlinks based on recency (Ahrefs - Backlinks - Recent). Take a quick scroll and look at the first page of links. It wouldn't take you longer to see common pages being linked to. In my example below, one of the visible linked-to pages is the scholarship page. 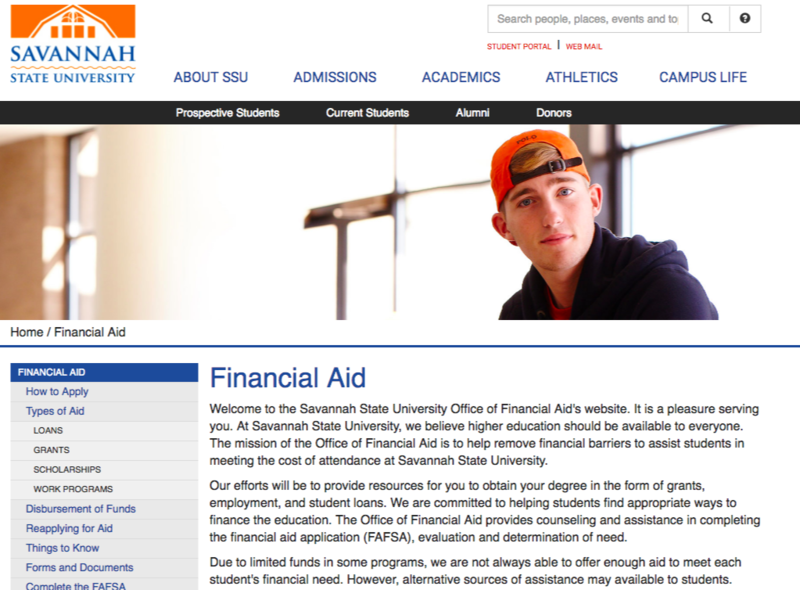 That may simply imply that the website may have executed a scholarship program recently. There are a lot of features Ahrefs can be useful for identifying linkable asset ideas and looking for straight backlink sources. Learn best from their regular tutorials, videos and blog. I have been playing massively with Citation Labs' Link Prospector as a source of semi-qualified link prospects for a client of mine recently. When I say semi-qualified, prospects exported from reports have been run through some tests already. Relevant link type (e.g. links page), relevance and quantifiable metrics, i.e. Domain Authority that are in place can help sort through multiple pages for a search query. If you want to try out Citation Labs' Link Prospector, I have covered a short tutorial using that tool on this post. Not everyone has the luxury to subscribe to link building tools, so let's go over how you can use free means to find backlinks in your space. The best way to start is through the use of search engines. It's a no brainer thing for SEO professionals to start with this link search method, but I find it strange when agencies complain about expensive link building tools and yet not utilizing search engines for quality link prospecting. To get the highest usage of search engines, the first discipline one has to master is strictly understanding how advanced search operators work. It would be a huge hit if there is one perfect formula for combining industry phrases with advanced search operators. Far from the reality, there's no one you can find. However, you can actually customize your entire search query (niche words and appropriate advanced search operators) based on the type of campaign or campaign audience. Campaign type is anywhere from guest blogging, resource page link building, sponsorship or .edu link building campaign. The type of the campaign varies depending on the strategy or tactic being executed to get the links. A search query for guest blogging is different from the one you use for broken link building. Different search queries cater to different kinds of page. I've created a resource page that lists down all of search queries categorized by campaign types. I recommend that you download the pdf on the search engine queries cheatsheet and use them even whenever you want. By using a combination of inurl and intitle, you can actually target your search to a particular niche audience. You may combine your campaign audience with the niche words to populate better search results. This approach is very helpful to refine your search results pages to just the exact pages for an audience within the industry. Appropriate usage of search queries for a campaign type is a good way to collect your initial list of link prospects. But expanding your list is the challenge. How do you come up with more new prospects if you use the same search query (of a specific campaign type) over and over again. 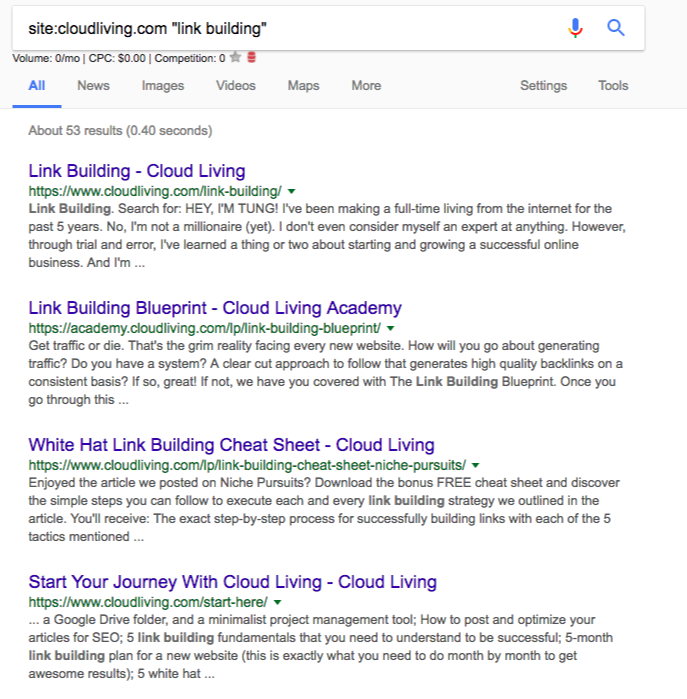 The key is to understand patterns that can result into multiple of new pages of the same type (or a different link type all throughout) — where if you are curious enough can brainstorm a new link building strategy that you can test out for your website. To better understand this, let me give you an example. In my post about link building for car rental companies, I covered a link prospecting strategy that some of you haven't been using for your link search. It's the method of identifying niche opportunity phrases on pages unique to those verticals. For instance, in the transportation niche, you'll find pages with "getting there" or "getting here" as resource titles. If you're in a hurry prospecting, you'll miss out those resource titles and use inurl:resources "transportation" instead. That pattern or footprint is the opportunity phrase itself, which can lead to multiple lists of qualified pages. Combine these phrases to a variety of advanced search operators and you would find a couple more prospects to quality for. Another pattern you can check on is the specific common url a page has been built. For example, in most .edu sites, library guides pages are resource-like pages they normally publish. The page curates all research, data, news-worthy and other highly-academic content on a topic. And if you're pursuing resource pages, you may use the exact name URL (libguides) to search for relevant libguides. 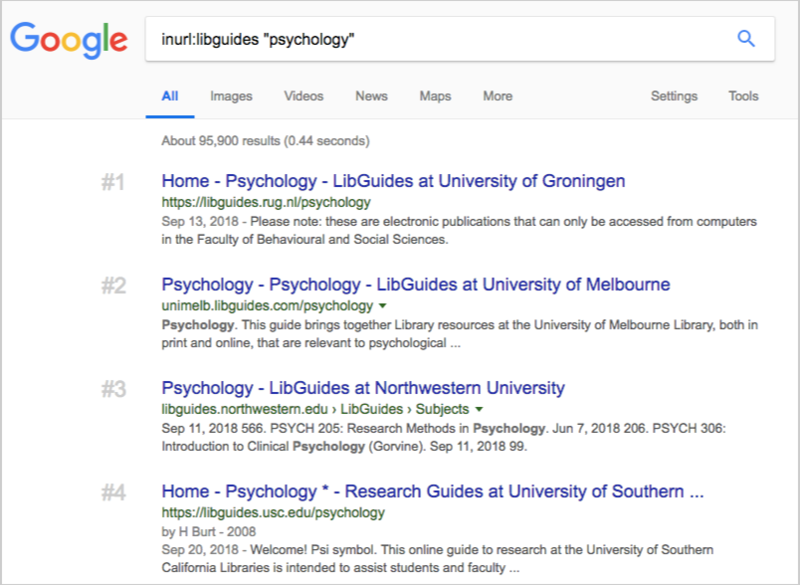 The search phrase would now be, inurl:libguides. Combine it with the niche (e.g. psychology) and you'll find libguide pages dedicated to psychology. How to identify patterns and experiment search queries so you can produce more lists than your current list of websites? First, gather your initial set of qualified pages (qualified meaning they've run through the relevance test yourself). You may prospect them with automation but you have to check those individual link targets manually. Second, you look for patterns in URL. By URL meaning, you find what are the common words that occur in URLs. Aside from URLs, you may also check each individual qualified prospects. Be curious and ask yourself, do they have similar page titles? How about titles of categories or sections? Lastly, get all similar phrases in URLs or titles, and experiment by combining them with advanced search operators. Start with inurl and intitle and get the ball rolling. Using search engines for link prospecting may require mastery in picking up words and understanding advanced search operators. But when you have done it a couple of times, you'll get better at knowing which search query will best produce quality and relevant link prospects. Continuing your link search will not be effective if you forget to track all relationships of your brand and your website. Let's first discuss all your brand's offline relationships. Offline relationships can later turn into links in the online world. By identifying which of your partners have their own websites and which have the necessary means to be able to link to your site, you'll get better prospecting rate and conversion rate in terms of links. Apparently, the more your brand is familiar with the person you're reaching out to for a link (most especially if you have established trust and relationship), the likelihood of getting the backlink is much higher. Let's take a look at retail and manufacturing companies. If you have this type of company (or you're working for this kind), get an inventory of all your suppliers, manufacturers/retaillers, delivery service providers and other partners involved in the operations. Then check if your partners have their own websites and collect all their contact information (may it be email address or phone number). That similar strategy can also be applied to eCommerce websites. 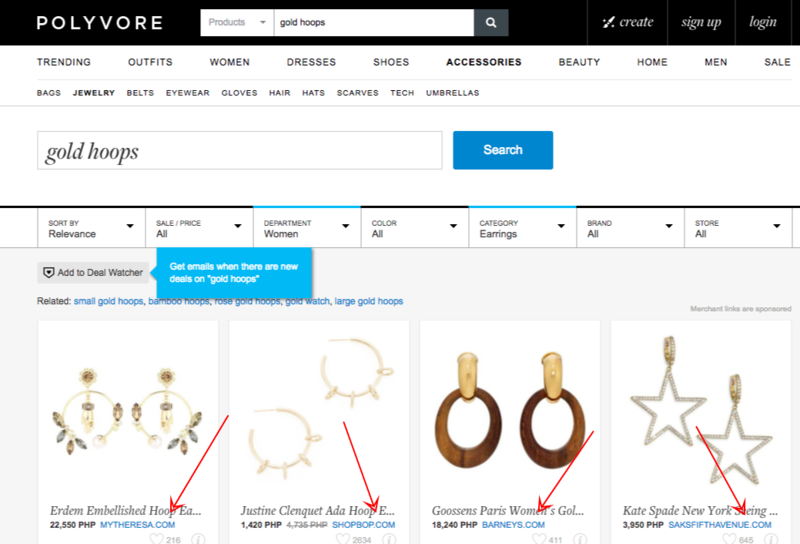 In fact, I've written different methods to maximize relationships for eCommerce brands in my post on eCommerce link building campaign - you may want to check that out. 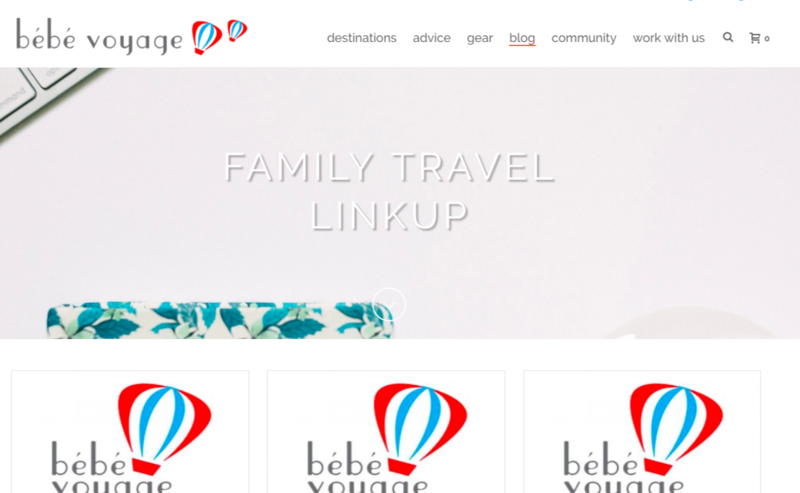 Besides offline relationships, there are online connections that have started since the brand's website has started running. These connections may be in the form of editorial, promotional affinities or operational terms. Whatever it may be, it's recommended that you track them yourself and organize all the information in a spreadsheet. If you don't know where to start, consider these questions: have you written any online columns for a publishing website before? Any online interviews of your founders, editors, or other staff members you remember? Have you worked with a group of affiliate bloggers who promoted your product/service years ago? By identifying online and offline connections, you are on the road of either reclaiming lost links or building new backlinks from recurring referring domains. Lost backlinks are any links (as implies) lost during a technical issue or discretion of the publisher removing the link from the content (where you originally got the link). Before sending an email and aggressively tell the webmaster to "could you link again to this page - (your page)", consider these things. Figure out why your link was removed. Is the page (or even the website) hosting the link was deleted? That is one example of a technical link removal. If it's not and the hosting page is still live and your link was removed, check if it's the only external backlink ejected. Otherwise, there may be issues with your link (or content) alone. Review your page/content. Is it off-topic this year? If it's outdated and the linking page requires information to be relevant for current times, it's unwise to reach out to the publisher and get the link back immediately. That is just one example of how you understand why lost links were removed. It's a caution to first look at the possible reason, see what you can make changes with your content, and make possible corrections. New backlinks from recurring domains, assuming these sites are authoritatve in your space, are beneficial for your website, as it signals trust and authority — which increase the value of your overall domain. Get back over websites that have linked to you in the past. And see which are editorial in nature, i.e. links coming from publication websites. If you have contributed an article or column for them, why not reach out again and submit another high-quality content? All of these shouldn't be done casually but rather make it as a continuous (regular) activity for any new connections that will come along the way. To help you further, we've created a definitive guide that discusses how to get links through link reclamation - it's a good strategy to maximize value from publications who have used your content in the past. Several pages on the web are interlinked to each other. So, if you have a acquired a link from Page A, it's possible that Page A also acquires a link from another page (Page C). This continues as long as Page C remains to be relevant for linking. On the first section of this link building guide, we covered how to find backlinks by reverse engineering a competitor's domain. By entering the domain URL in Ahrefs, you can quickly find its backlinks. You can already get the ball rolling with the first list of backlinks you see in Ahrefs Site Explorer. But if you want more of highly relevant link opportunities, you may consider secondary linking pages. Secondary linking pages are pages linking to pages that are linked to you. In other words, they are second-level deep. In Ahrefs, it's easy to spot on these secondary linking pages. The Domains column can help you figure out the number of unique referring domains linking to a referring page. For example, I've got a good number of backlinks to this link building website (below is a quick overview of this site's backlink profile). If I want to go deeper and find secondary linking pages, I'd look for the number of Domains column, which as of the time of this writing, Ahrefs as my top linking page has 278 referring domains linking to it. These 278 referring pages are already second-level deep. 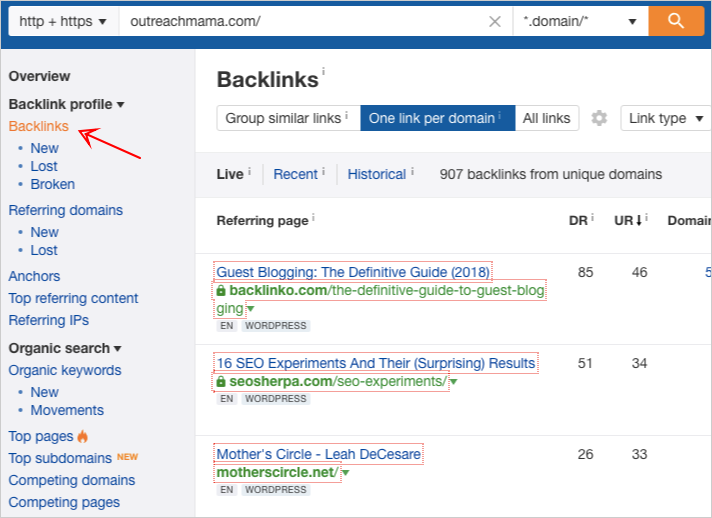 If I want to find more backlinks, I'd take a look at them, manually check and see which of these pages are qualified to be additional target blogs for outreach. Finding secondary pages is a methodology you can execute both for your website and for your competitors' sites. Do it appropriate for your campaign and find more link opportunities. There is no sure one method of finding backlinks that are good for your site. The reason there are different tools is for you to test them out and see which benefits you the most. Patterns in URLs and titles are also guides to keep you collecting more link opportunities for campaign. Don't forget, it all comes down to qualifying all your given blogs and websites, whether they come from an export of links using a link building tool, or a manual search through Google or a deep look at secondary pages of a competitor's domain. From whichever source, every potential link opportunity should be checked for quality — so all your next initiatives including outreach activities will be worthwhile. Need help with your outreach campaigns? Check out our link building services here. The "skyscraper technique" by Brian Dean of Backlinko, has reached its peak of popularity because of its easy-to-follow process yet has produced effective results for most people who executed the methodology. Of course, not all have reaped the fruits of their labor, some have missed the objective of building and earning organic links through its skyscraped content (as well as rank for keywords/search terms that might impact their overall campaign). Assuming skyscraper content (10x content) is an output of volume, not of quality. Assuming content's ranking performance on search is solely based on its own quality, not who it comes from. Quality of content is realized by the volume of efforts put into creation, not by the value it provides to its users (e.g. definition of terms queries requires mediocre yet succinct content, not bigger content piece, to satisfy its users). Apparently, the aforementioned reasons do not totally disprove the effectiveness of "skyscraper technique". 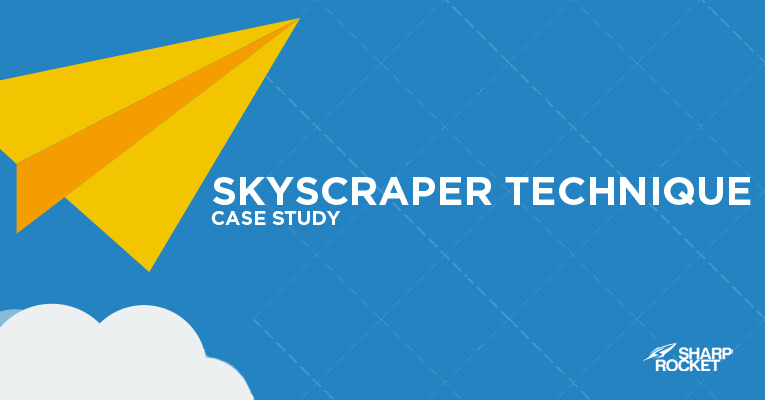 With proper strategy and thorough execution on each individual phases of the process, I'd almost guarantee that you can hit your business' objectives with the skyscraper strategy. In this post, I'll share actual samples of my workflow and thought-process - from content ideation, content production to the extensive promotion of skyscraper content. 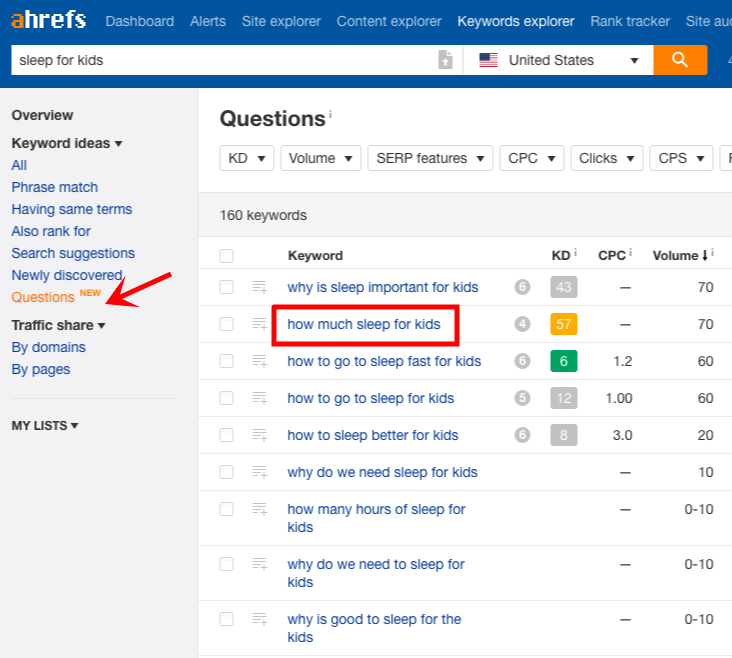 Use keyword research tools (like Ahrefs' keyword explorer) to find topic phrases that have substantial search volume. The data should answer the question, "are there enough people looking for the topic?". Continue doing your research by looking for keyword variations. 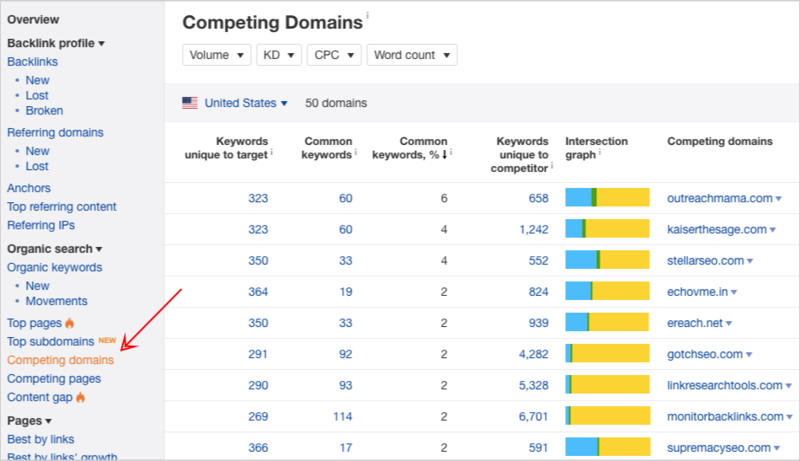 These keyword variations can help expand your content's reach when included in your content piece (as they can help your page rank for secondary keywords and other long-phrase keyword variations). AutoSuggest and Related Search Phrases (located below of every SERPs) are handy features of Google that can help you find keyword variations of search terms. Tip: You can use Ahrefs' Questions feature to discover related questions (which you can later select and include those you're capable of answering in your content asset). Get an idea of the linkability of the topic by looking at the first few pages of search results. 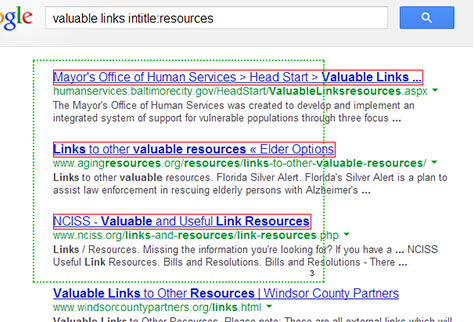 See how many linking opportunities does each page obtains (with Moz you can glance it quickly). Create content on the linkable topic and make it better than the first ranking pages for the target keyword/phrase. Choose one among the ranking pages, check if you can feasibly do better than it, and produce a more comprehensive content piece. Whether you choose option 1 or 2, the mindset should be in accordance to the original Skyscraper process: find link-worthy content, make something even better and reach out to the right people. For this case study, I choose option 2. 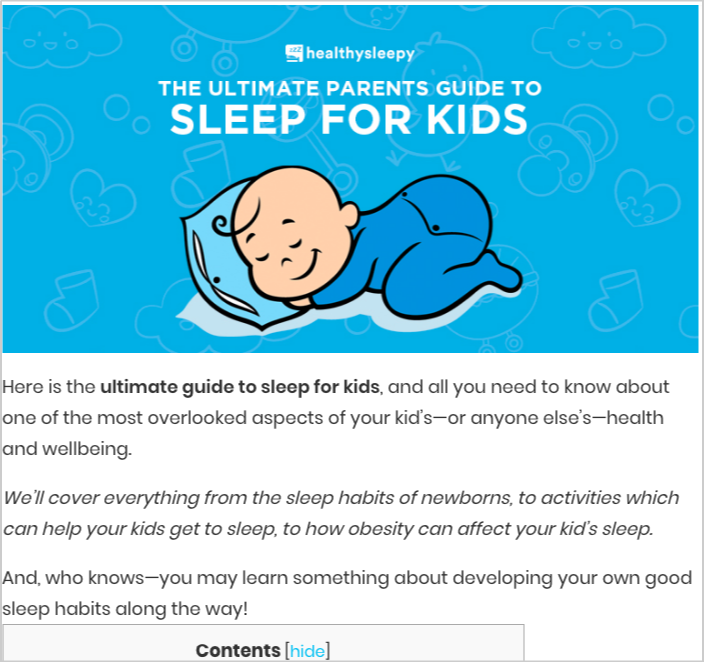 I've found one niche website that ranked for the keyphrase, "sleep for kids," - which is a microsite of an industry organization, National Sleep Foundation. When we review the website, it only has 50~ indexed pages. Not all of these pages have valuable information about the main subject area (a content gap we can fill in the industry). This leads us to choose this website as our starting point for creating the 10x cotnent. How long does the site hasn't been updated? How many pages does the entire website has? Are they all under the same subject area? Are there any important topics not yet included that you can cover on your own content asset? Strategize how to outdo the link-worthy content by creating an outline to visualize the outcome of your own content piece. Make sure you look for important points that haven't been mentioned in their content. 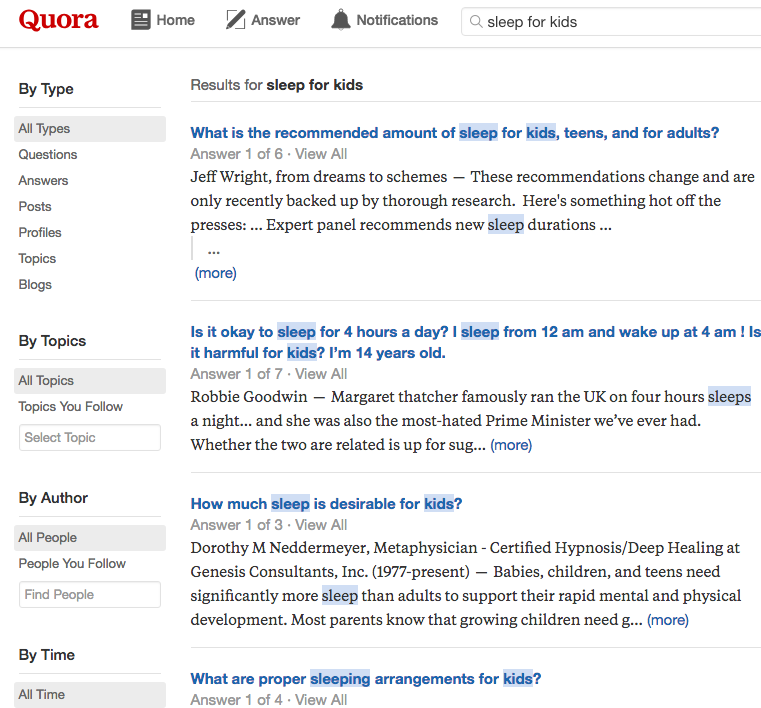 You can use Quora and Reddit to spot frequently-asked questions and cross-check them with their content (to see if those topics have been integrated). Increase chances of your content piece to rank in search by optimizing it for other secondary keywords that your competitors' have included in their content. You can use Cognitive Content Assistant tool to identify the exact keywords your content is missing as well as keywords you should use more often or less (in the case of keyword stuffing). Their Content Performance metric gives you an idea how likely your content is to be ranked higher up. As an example, we heavily invest in infographics for our client's content assets, only if there are data points that are be more valuable to present visually. 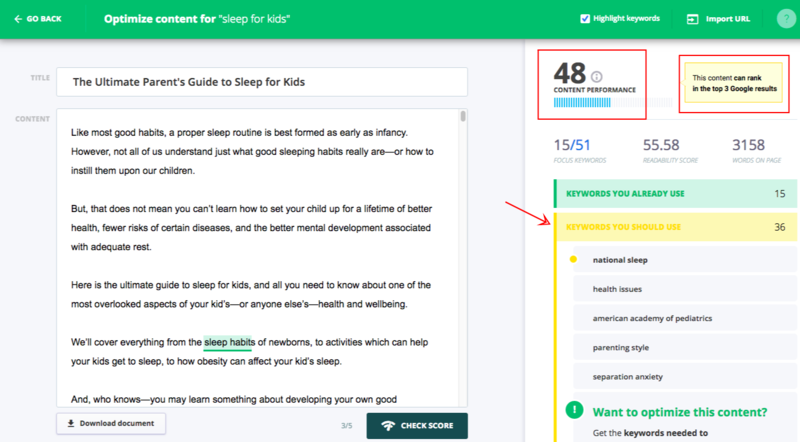 For example, the question found on Ahrefs' Questions feature (how much sleep for kids) can be best answered by gathering data points and turning it into an infographic. You can easily these other content formats to other sites or leverage them as guest blogging content (see guestographics). Overall, invest in making your content asset more valuable than your target link-worthy content (and than other competitors' content). Start reaching out to people who've linked to your competitors' content. To increase your outreach campaigns' open rate (as well as response rate), invest time in crafting catchy and effective email subject lines. Here are some useful tips by Giselle Navaro (from her latest outreach article on SearchEngineLand). 3. Convey the email's purpose. 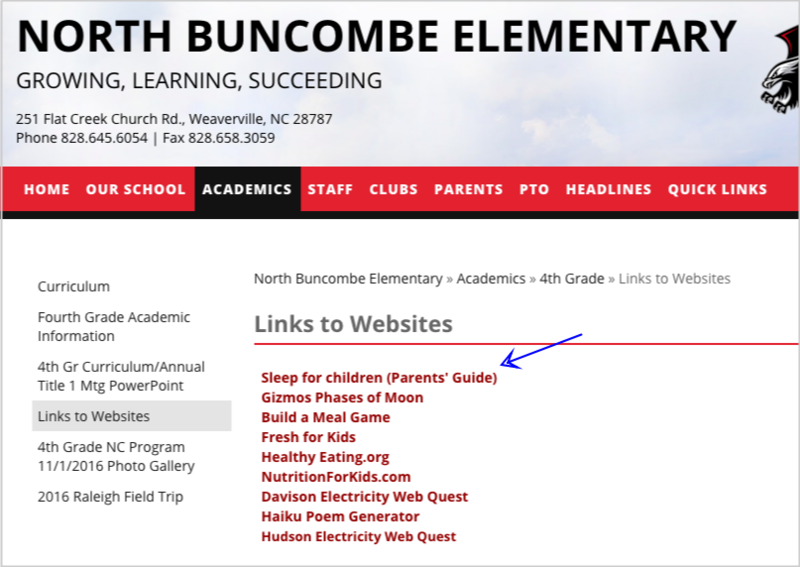 If it's a resource page you're trying to get links from, you can approach outreach by suggesting your content as an additional reference to their links page. Another value proposition to make is to tell them about any broken links on their resource page (if you've found any) and propose your content piece alongside with a non-competitor content as replacements to their defunct links. This outreach activity is included in another link acquisition process. Read our broken link building guide here with easy steps to follow. 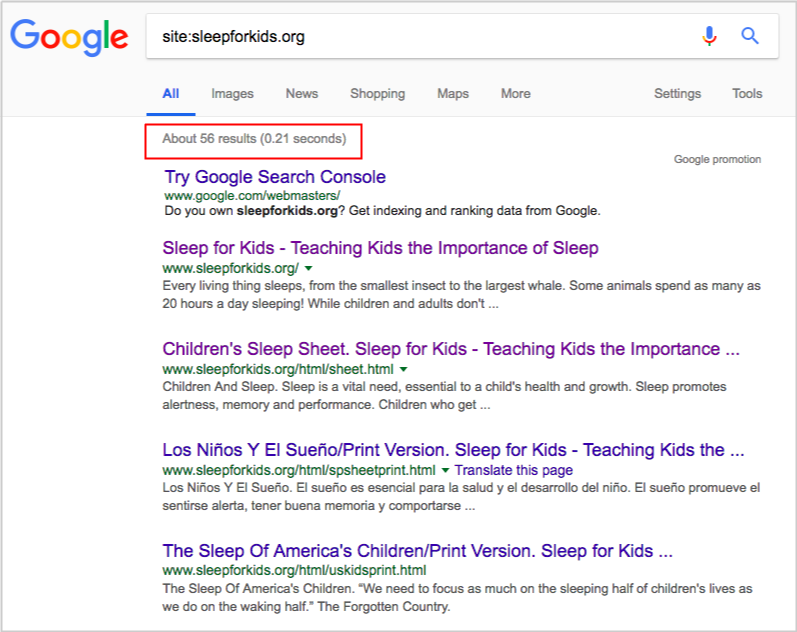 Going back to our case study - sleep for kids guide, we've reached out to .edu librarians, other link curators, and webmasters who've have linked to the competitor's content. We further looked for other industry bloggers who might potentially be interested in including our visual asset as a complimenting content to their existing articles. Securing links from these sites is only the first step. The relationships built with these webmasters can later on translate to additional relevant links to your other future content assets. Need help with your skyscraper campaigns? Check out our link building services here. Agility and efficiency are essential drivers of a successful link prospecting phase. Setting a plan to never run of opportunities for link acquisition is important, since this can improve the entire campaign's prospecting rate as well as increase the average number of link prospects collected per hour/day. Enables to find new audiences targeted by new added link opportunities, which can be useful in brainstorming future content assets relevant to these audiences. 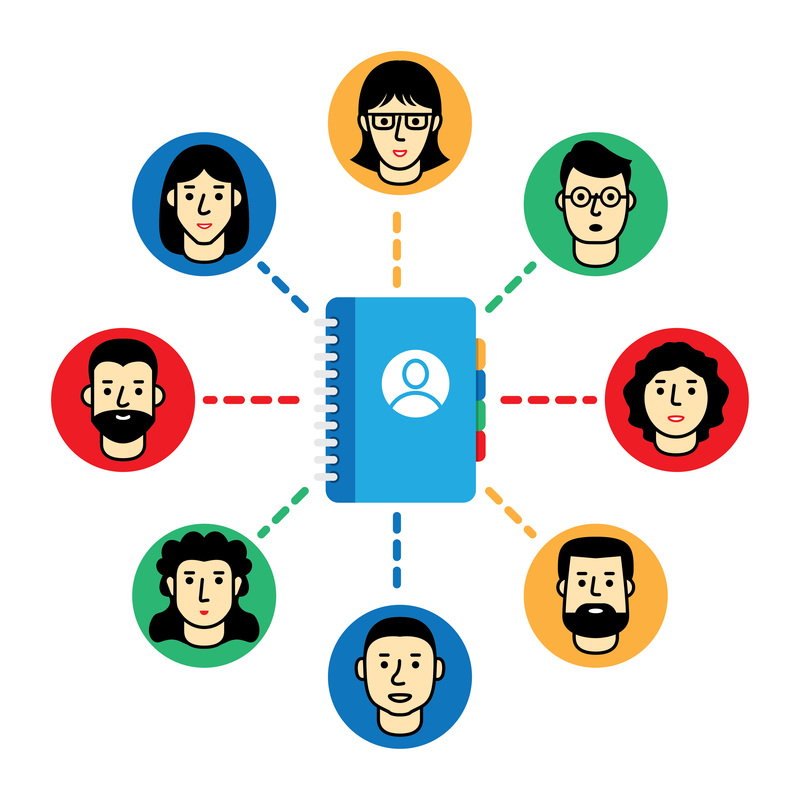 Grows your current list of relationships with bloggers/webmasters/journalists (new connections can be derived by reaching out to additional list of link opportunities). Increases deliverables (# of links delivered on a monthly basis) for clients, since on a given average conversion rate, one can expect more links by sending more outreach emails to added link opportunities in the original list. Here are 9 tactical methodologies to never run of opportunities for your link acquisition campaign. 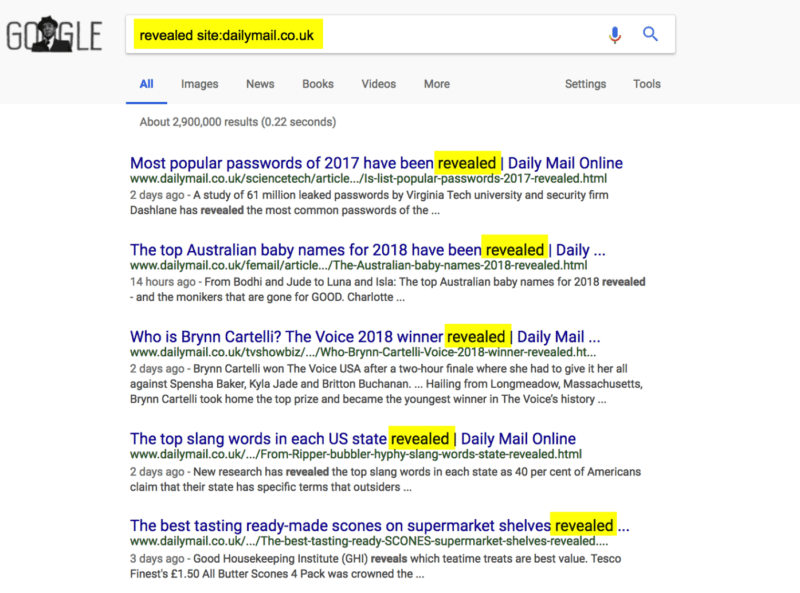 Reverse engineering has been a standard practice in link building - which is basically spying your competitors for link sources pointing to their pages. However, that approach will leave you following the footprints of your competitors. If you can be visible on websites they haven't acquired links from, it would be a better strategy to get ahead of them (or evenly outrank them!). One initiative you can make is to look at other brands (not necessarily your direct competitors) that have published industry guides on similar topics. We've found that using this search query, "GUIDE" "TOPIC" supplies a list of websites from other industries in SERPs that have topically-relevant content assets. 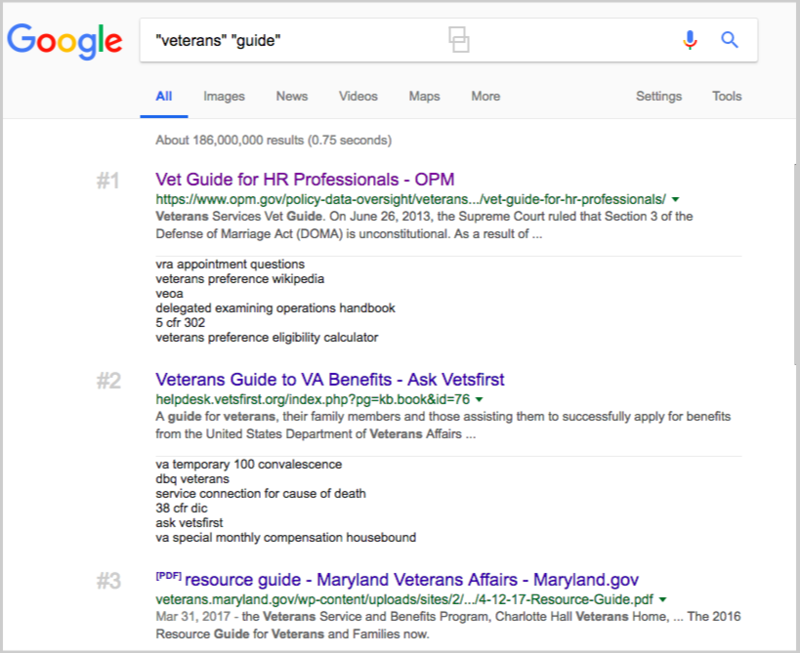 For example, a quick look for "veterans" "guide" can reveal this search result page. Your next step is to make a list of the people and sites/blogs who have linked to similar industry guides or have shared them via social media. You can extract these data using tools like Buzzsumo and Ahrefs. It is best to list them down in a spreadsheet including each prospect's contact address. Start reaching out to them. You'll have better chances of getting links given that they're interested about the subject of your content, since they've linked to a similar industry guide in the past. You will not always come across a brand that publishes a solid set of content assets while gets/attracts high-valued links to its pages. If you have found a website that matches both of the above criteria, it's worthwhile to bookmark it and try to spy and assess their content strategy (both their content creation and promotion approaches). In our broken link building campaigns, we've spot on and have kept track of all the websites that have continuously been producing heavy linkable assets in different industries. Regardless of whether or not it is directly competing with our client, we monitor those sites for new content ideas and future linking opportunities. 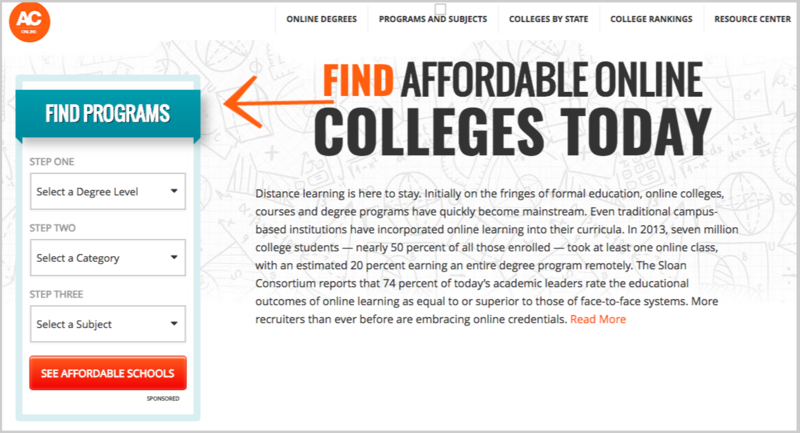 For example, Affordable Colleges had been on my personal radar because they have been targeting new markets (audiences) through the new contents they published on their resource section. 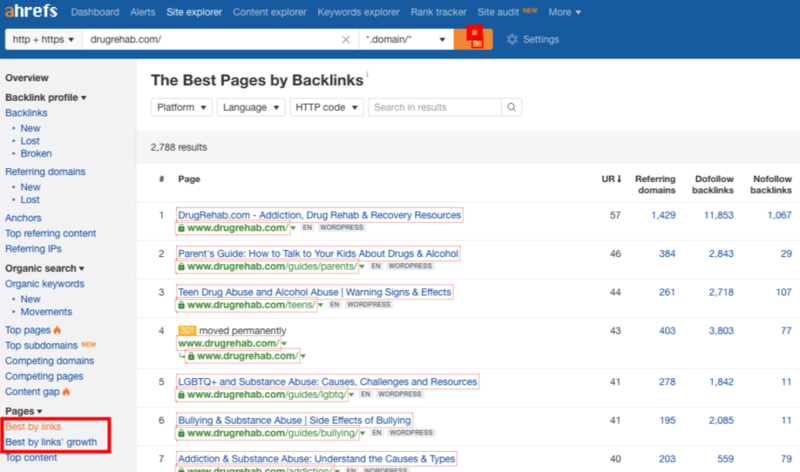 By using content analysis tools like Ahrefs, we can see their new industry guides they've invested heavily on content promotion (check Best by Links Growth feature). 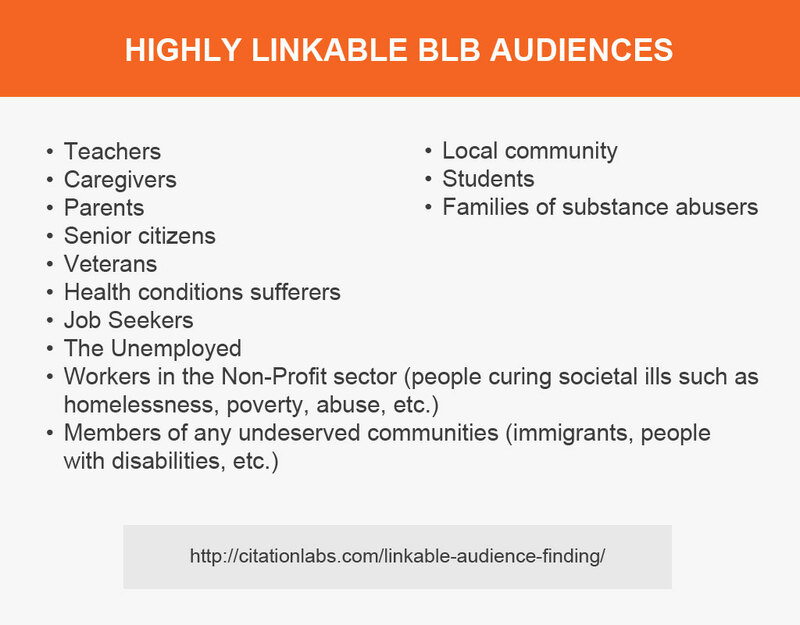 That approach can definitely expand opportunities for our future link development campaigns, given that we can tap into new markets that are not included in our initial list of linkable audiences, such as homeless students and multicultural & diversity groups. 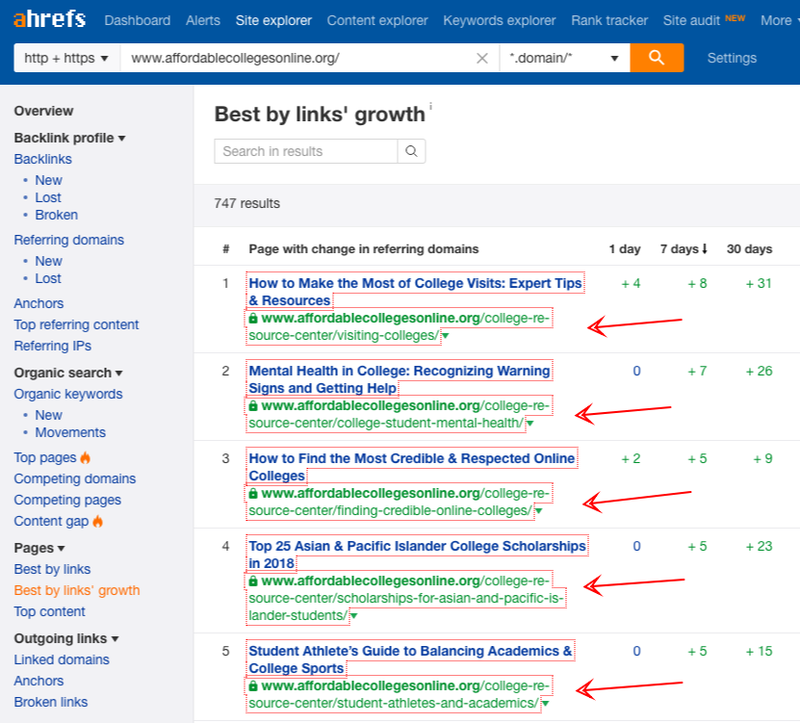 Apparently, links from .edu pages is one type of links that can impact your pages' performance on search rankings and can really damage your industry's competition if you achieved success with it. However, before getting results from any .edu link building strategies, you'll always start with .edu link prospecting - one that's hard to build when you're starting out. One approach that you can use to scale .edu link prospecting is to target a specific type of .edu page in your search queries. 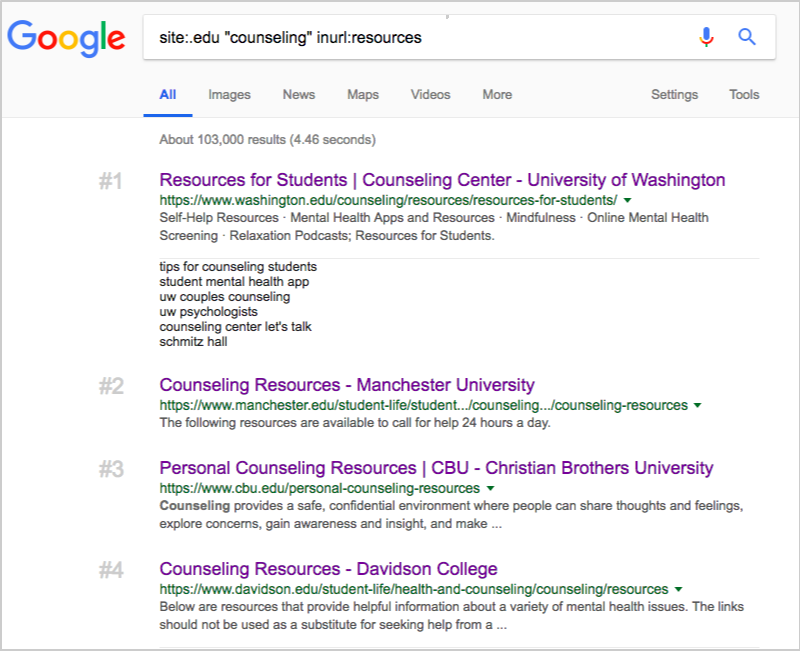 Those .edu websites normally have sections of information resources such as counseling, health & wellness, financial aid, community resources, and summer housing - which can be individually targeted in your search query depending on the subject of your page/site. 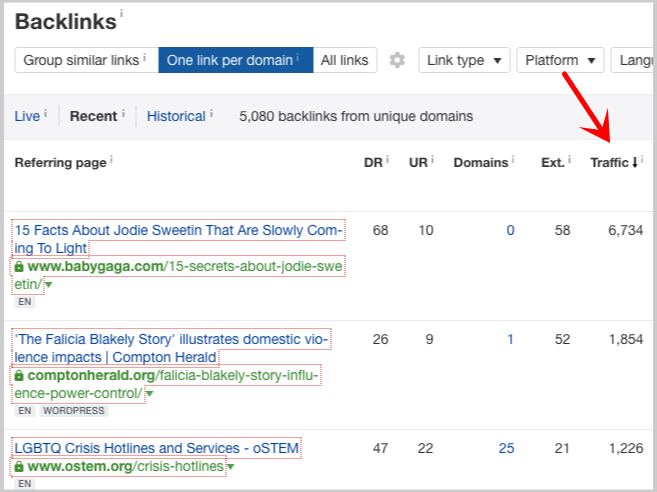 Moreover, finding targeted pages of .edu sites can also be helpful with the kind of link building strategy you're currently using. For example, when pursuing for scholarship links, instead of using the common search queries like (site:.edu "scholarships" "industry/topic"), you can be more targeted with your search by using the phrase, "financial aids" - which is a .edu resource page for students seeking for financial help. Another way to be proficient in high-authority link prospecting is to target libguides pages of .edu websites. LibGuides are a content management and information sharing system designed specifically for libraries. The platform allows for easy navigation through and instruction on core and relevant resources in a particular subject field, class, or assignment. Allows students to focus on the relevant and sift out the less relevant. 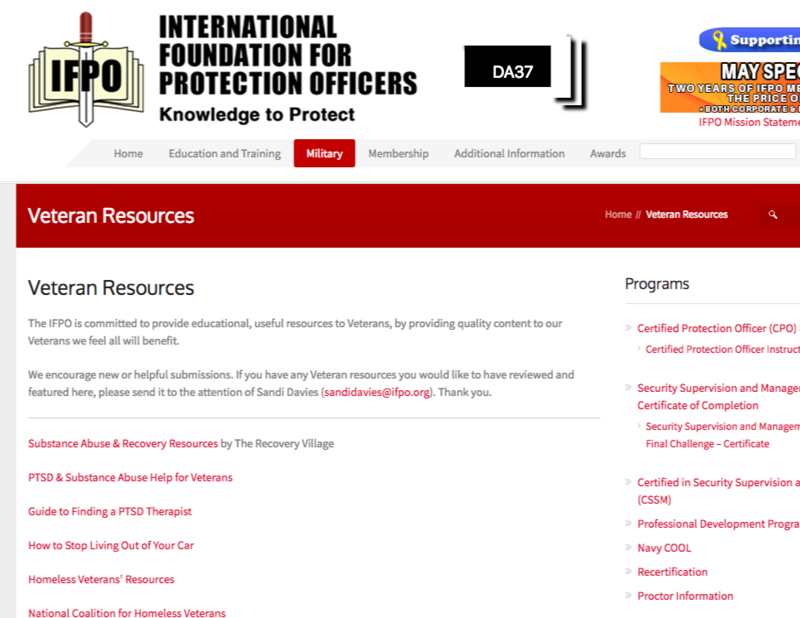 Visually demonstrates that there are great resources, in multiple formats, on even the most difficult topic. That reassurance builds the confidence of students who need to get started on their research. You can see the other benefits of libguides to students here. 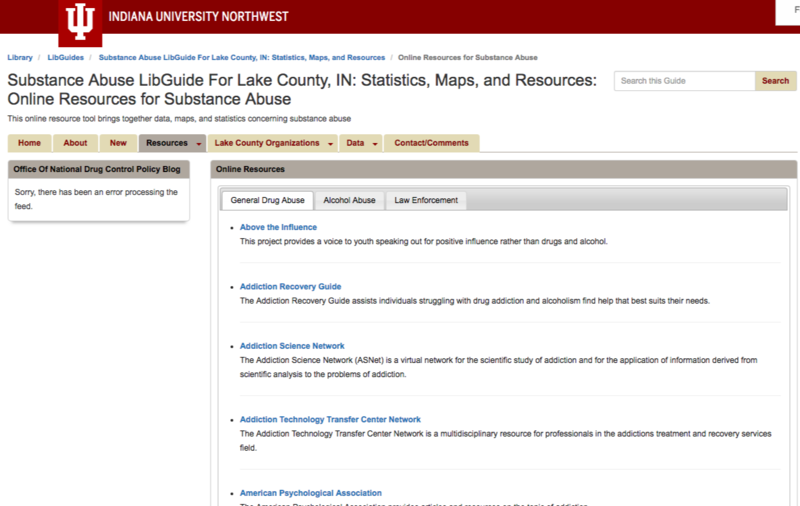 By definition and purpose, libguides are academic resource pages for students. Given that they aren't updated that much, they usually contain broken links. Knowing that, you can use broken link building as an approach to acquire links from these high-value pages. Resource page link building (or content suggestion) can also work as long as you have a high-utility content piece worthy of being referenced to by these academic pages. How do you find these libguides? 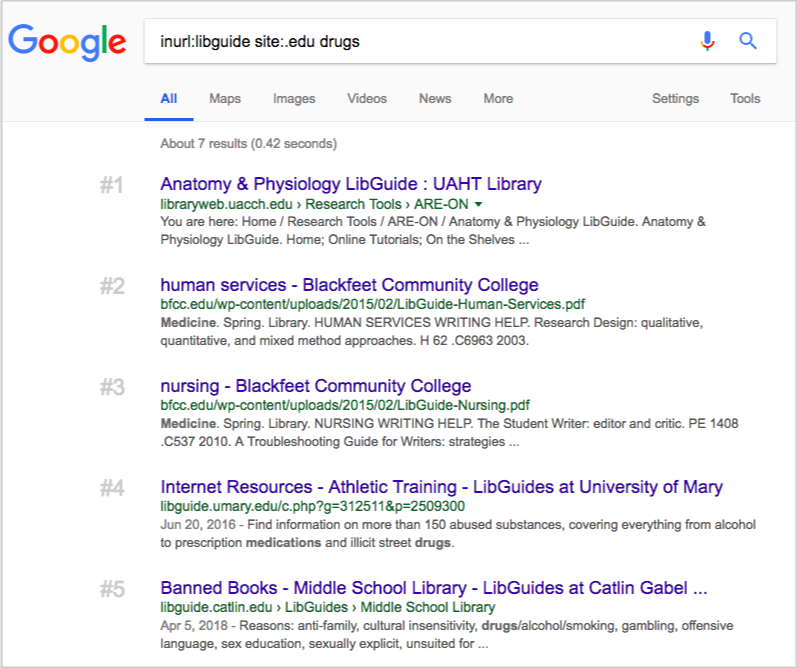 You can do a Google search for inurl:libguide site:.edu "TOPIC" - replace the word topic with the subject of your content or website. Before pitching to librarians (contact persons managing libguides) with a content published on your site/client, it is best to have a idea on what sorts of content, information, and content types that they prefer using as references. Make sure you create the most comprehensive guide on the topic (or at least can match up to the resources that they've already linked to). If it's necessary to improve your content, do so to increase your chances of getting links from them. When prospecting for link opportunities, It's easy to overlook pages with lower metrics (i.e. <DA40), given that at the beginning of the campaign, link metrics has been set to use as a quality benchmark for all target pages/sites moving forward. At SharpRocket, we've found that websites/blogs with lower metrics can be of highly useful for future campaigns. Some less authoritative websites can increase their organic traffic and earn/build links over time, which will eventually improve their entire domain authority. Capitalize future equities of those neglected websites by making a separate list or spreadsheet to include them. This is an approach not to run of our link prospects as you can return to your list over and over again, and find new ones that have improved its domain authority (or have passed to your benchmark metrics). Building relationships with industry bloggers is vital not only when pitching them to become a guest contributor for their publications, but also in expanding your own list of link opportunities. One approach that you can maximize in this situation is to pass on your contacts with them. 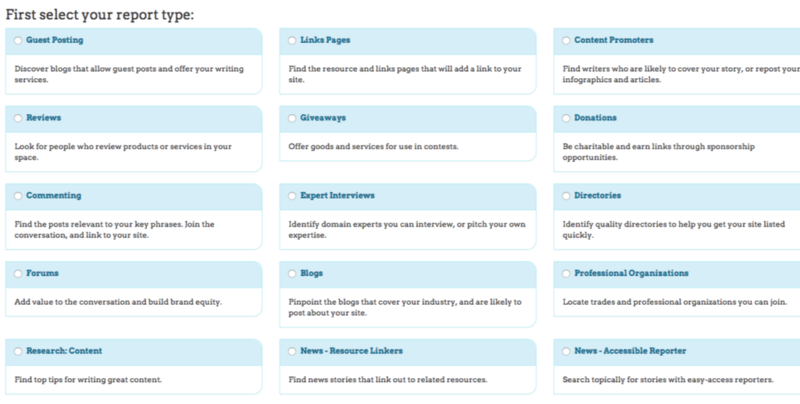 Share your own lists of blogs that you have pursued for content contributions. It's a mutual benefit so you'll expect to get a fair share of lists from these active bloggers, too. It's worthwhile to do so given that their shared blogs have high response rates when you start emailing them. A huge number of broken links on the web is the main backbone of broken link building. 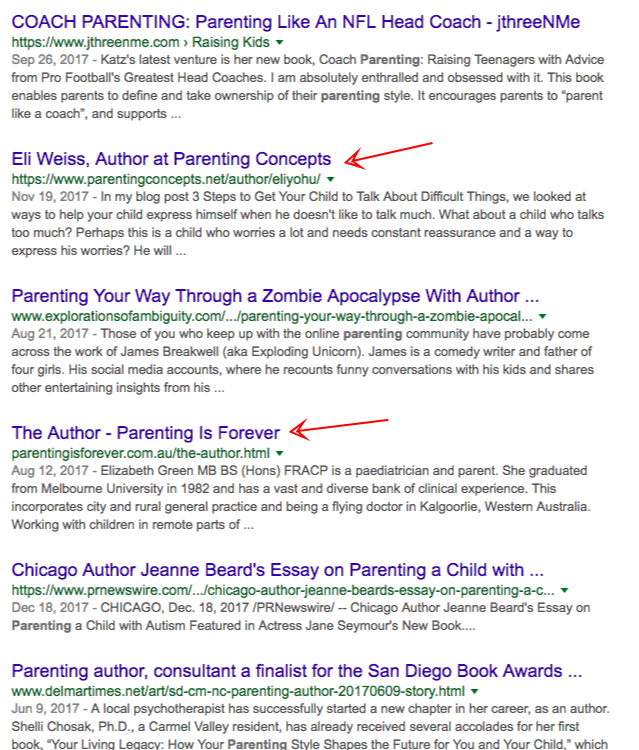 Finding defunct links on a resource page and showing them to webmasters is one way to initiate conversations and eventually acquire links by suggesting link replacements (wherein one of the links is a link to the client's content piece). The process ultimately starts with prospecting for relevant resource pages. One prospecting methodology besides doing a Google search for common resource page queries - inurl:resources "topic;; inurl:links "topic" is finding other resource pages that are linking to broken links. 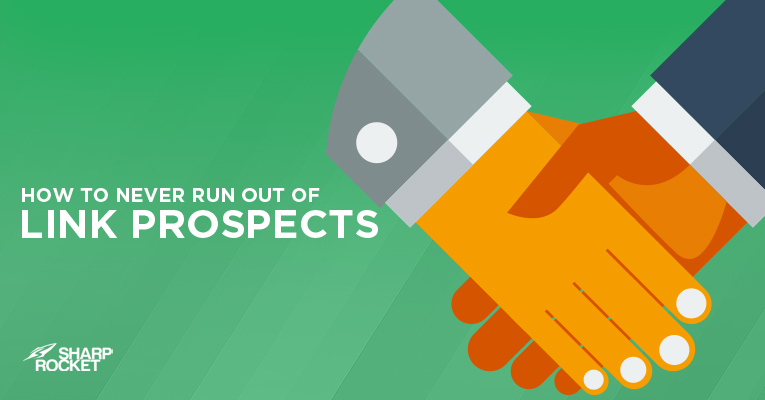 Start this process by finding broken URLs, which can be defunct links you've initially corrected in your first set of prospects (resource pages). Check for any other websites linking to those broken URLs using any link tracking tools like Ahrefs. 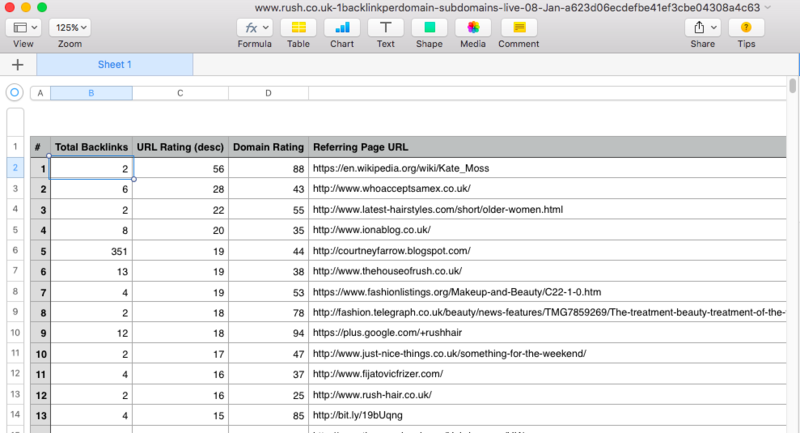 Create a spreadsheet to collect all websites linking to broken pages. If you've found 20 broken links and have checked that there are around 300 total pages linking to them, your initial list has now grown to additional 300 prospects. Of course, you have to quality these additional link targets by relevance, authority, and obtainability. But overall, the said link prospecting (reverse engineering) methodology gives you room for more link opportunities. One common mistake I've seen link builders do when prospecting link opportunities, specifically for resource pages, is ignoring current pages on their tabs as soon as they quickly find that these pages do not pass certain links' standards (e.g. irrelevant to their intended audience). This tip is almost similar to the above prospecting principle (save prospects of lower metrics). However, what I'd like to highlight in this last prospecting tip is saving prospects of different intended audience. When you've landed on a page and found out that it's not relevant to your audience-targeting, you basically ignore it and move on to your next link prospect. What I personally see a lot of value in seeking for more link opportunities (and for content generation, in general) is creating a new tab/list of other pages that don't fit to my current intended audience. 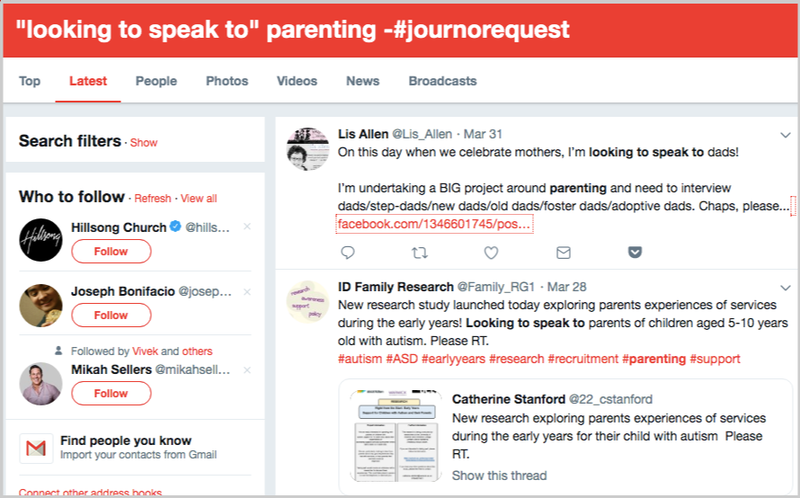 For example, when I'm looking for parenting-targeted resource pages and have come across pages that are targeted to non-intended audiences like LGBTQ, mental health enthusiasts, persons suffering from trauma, stress, and attempting suicide - I make new lists to collect them all. This can somehow make it easier to find new audiences to target for future content assets. If you’re just starting in audience-first link building campaigns, you can start off with Garrett French's 601 Audience spreadsheet and basic linkable audiences as a base - and add more on to it along the way. Liked this post? Subscribe to our newsletter and follow me on Twitter @venchito14. If there's one under-utilized content asset of any website today for link building, I'm pretty sure it's images. Most of you think it has lesser link acquisition value than other content types - probably for two reasons: One, it doesn't catches longetivity. Unlike a typical 3500-word utlimate guide, normal images don't inform a lot of messages. Two, it's plain, simple and most of the time, it's commercial-context. If a visual asset originates from your company for example (i.e. branded team photos), you would think it's not usual for a blogger to link to such a particular piece. And your next problem is, how can I can remove the commercial intent in these images?". These examples of link builder's dilemma causes you not to believe much in the power of image link building. I hope that at the end of this post, you would have plently of ideas how you can use images to build links for your site. Below is a list of 9 image link building strategies that we had the most success with. They can be used in conjuction with others in order to increase the value of the proposition for outreach. If the word "infographics" is for sale in the SEO market, I think it's sold out already (and perhaps a best seller). Infographics are abused in almost all industries. Try searching for your "industry" + "INFOGRAPHIC" as your keyword phrase in Google, and you'll start seeing tons of infographics published. Not all of them are giving much value to users, ofcourse. One way you can do to breakthrough the noise is to observe your industry's visual market and see which visuals previously gained success and which ones didn't worked out well. By doing that you can start digging into old and most-linked images. When you see one, you start to strategize how to update it and give a revamp. Skysrape an old visual asset. How can you do that at scale? Use Buzsumo and its "infographic filter" and go search for a topic that's relevant to your industry. You enter industry keywords and look for previous infographics that gotten shares and links, some just earned shares, and it's okay. In visual marketing, there's a neat probablity shares could result to a few links. Events become memorable because of great experiences. No one will deny that he wants go back to certain events where he had a great time with, at the same date and same place, if possible,. It's classic. And what would make someone remember those events? If you can utilize event experiences with freelance photos, there's a huge link opportunity that awaits you. Get someone to cover an event with freelance photography. Instead of sponsoring bucks or free pizzas for after-event parties, hire a freelance photographer to cover that event. 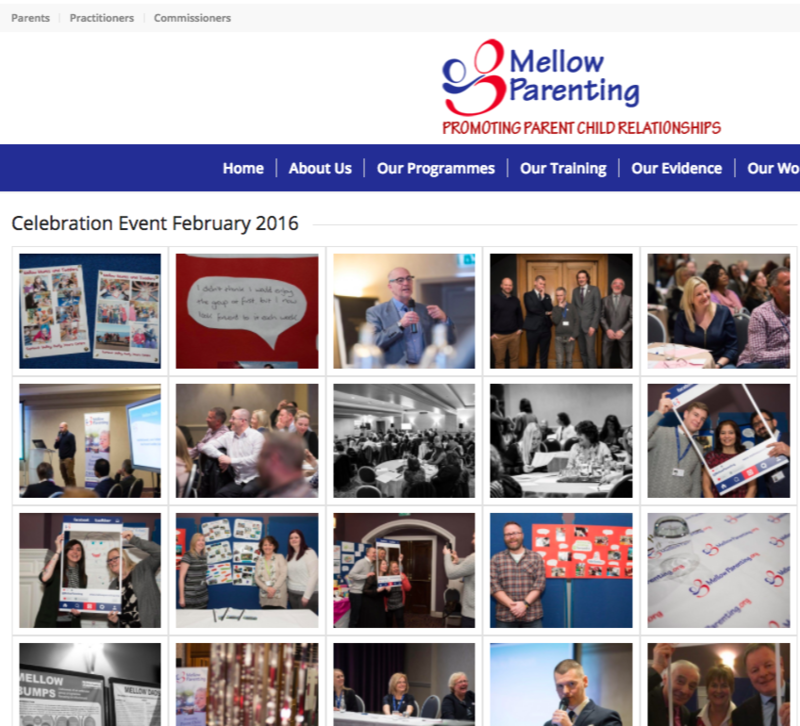 Get those high-quality captures and upload them on a specific page on your website - and dedicate that page just for that event. Reach out to event organizers and let them know that you have captured great experiences on your website, and these are publicly available for republishing/resourcing. Politely ask those who have used your photos to credit you as the original source. 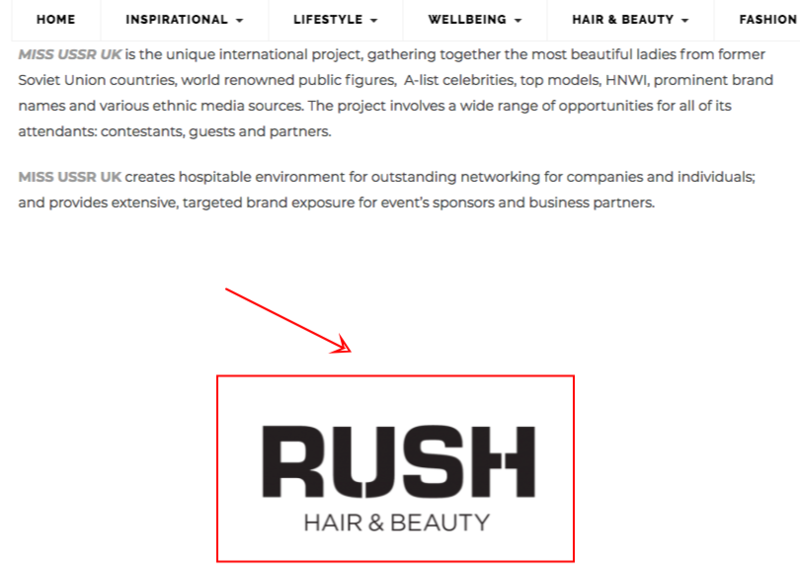 Depending on vertical markets, if there are niche bloggers/marketers/PR professionals who may have attended the event, there are more link opportunities that you'd see coming from participants' own websites. People love inspiration. And getting quotes from anywhere is one way to hype up one's day. Knowing that, if you take industry quotes (e.g. 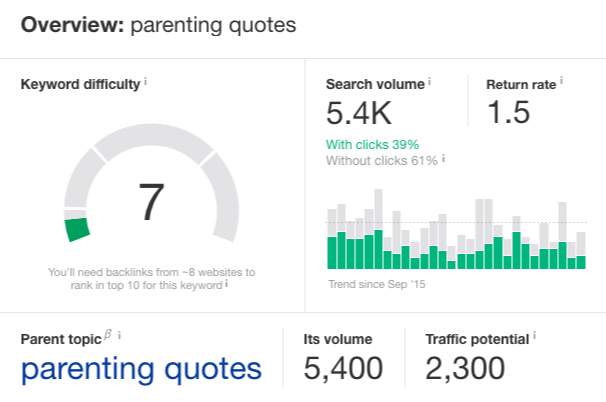 parenting quotes) to a keyword research tool, you'll see that there's an immense opportunity to cover a content specific to that. Though most industry quotes that you'll see is just a compilation of all sayings/wordings from different sources or people, there are sure-fire ways to help your content get more visibility and definitely help it rank on search. Aim for the Most Quotes on the SERP - which means if you see 80 quotes, try to aim for 120 or 150 for example. Make Shareable Images for Some Quotes - shareability is important to get more visibility to the content. 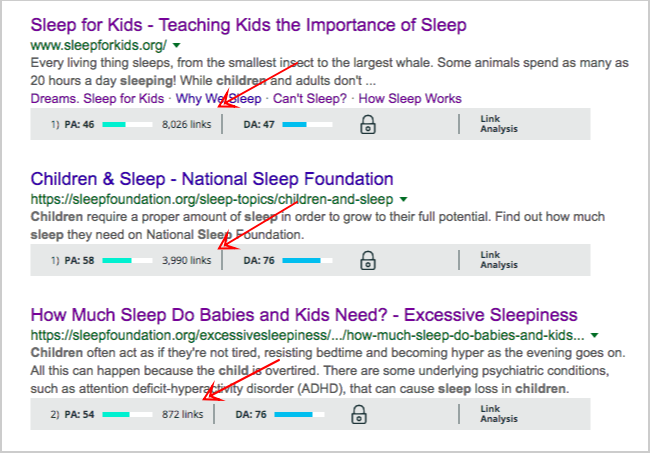 Use Longtail KWs as H2s or Filters - to rank for related keywords, like "parenting a child with disabilities" quotes", you can categorize quotes based on different audience intent. Add Share CTAs on Individual Quotes - add customized tweet-to-share buttons to individual quotes to increase social shares. In addition, here are some more actionable tips to maximize quotes content for link building. First is to include sayings or statements of your industry influencers. By having them at your blog spotlight, there's a reason for them to share your "quotes" page as you give them exposure upfront. One way to find their best statements is to check their top-performing/best articles. Get one or two statements they said powerfully (and probably would be found valuable to other people in your industry). Create an individual graphic just for that. Then, reach out to those influencers and share your content. Second is to make it part of a big post. 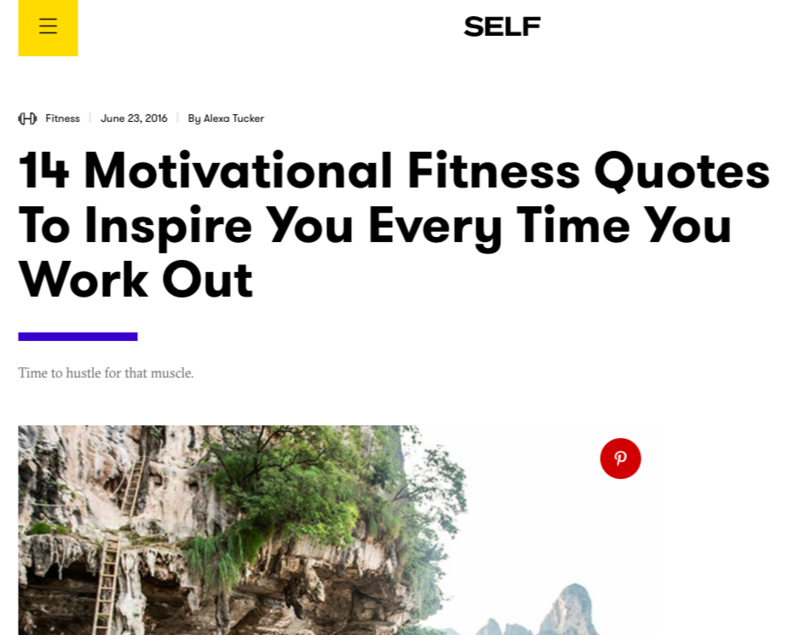 If you're creating a content that you think one quote from your "quotes" page can best fit, make it as part of that content. By doing so and including a link to your "quotes" page, you increase its visiblity - that more people wil visit and check the page. Whether it's a personal brand or corporate profile, if there's a brand ambassador, marketer and industry practitioner in your organization that gets invited to speak to different events, then chances are you'll have a library of slide decks. You may haven't uploaded them yet on your own website or on public platforms like SlideShare. But if you do, congrats! Otherwise, there's a missed opportunity there to get links. In fact, in industries where there is a huge demand for expertise information, slides are strong assets for links. 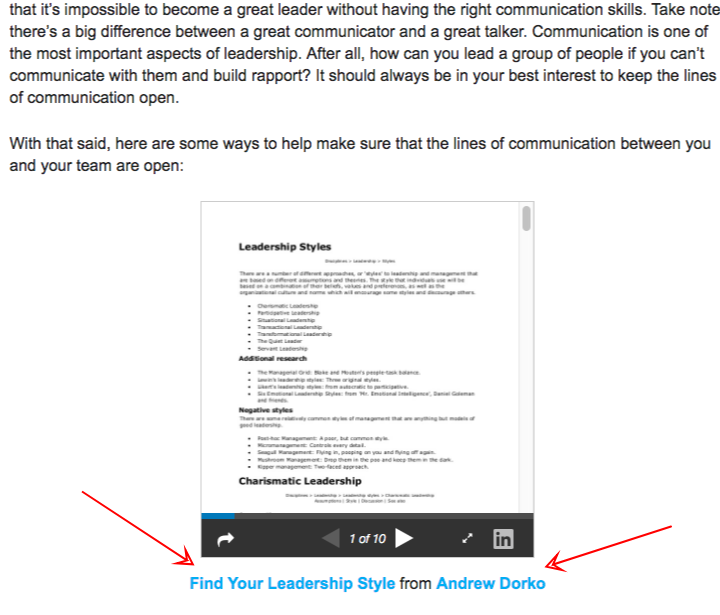 If you have uploaded your slides in Slideshare, track how many links it organically receives. You can semi-automate this process by creating alerts to give you email notications when a link to a specific page has been found. Ahrefs can help you with this. 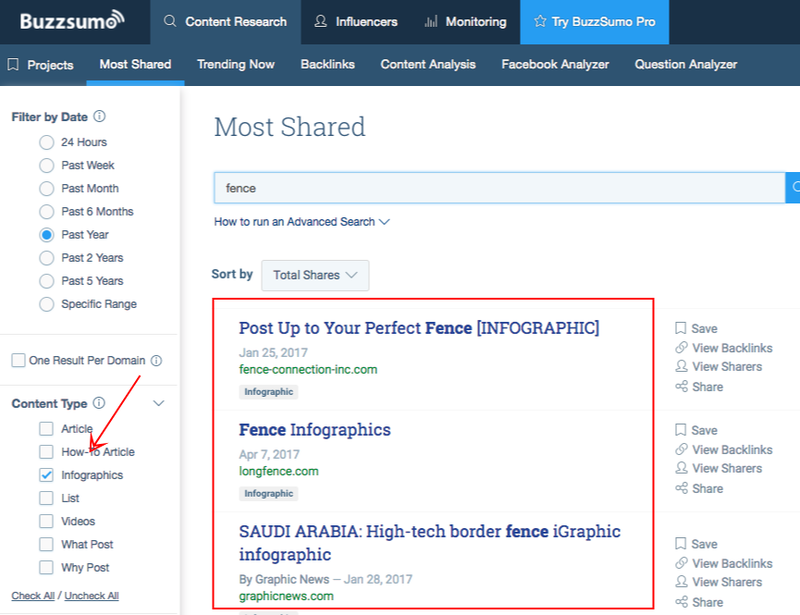 You can go deeper by tracking mentions of a popular slide you have uploaded (which you probably have the confidence that it'll get shared massively and earned links based on its initial visibility). Say, if it has been viewed thousand times without much promotion, you may be expecting it to be seen more organically and if boost it with manual promotion, there's a high chance it can receive some links. Your next action then is to send emails to publishers who have embedded your slide/s in their content and ask if they could link to your website. Nudge bloggers with specific anchor text that they may use, i.e., you can state lines like this in your emaill, "You may link to [domain.com] with texts like, via "Brand/Persona". By doing so, you increase your conversion rate, as you remove the commerciality intent of your pitch. This link building tactic is simple yet undertutilized by link builders for clients with strong speaking portfolio. My fifth image link building tip is connected to the method above. 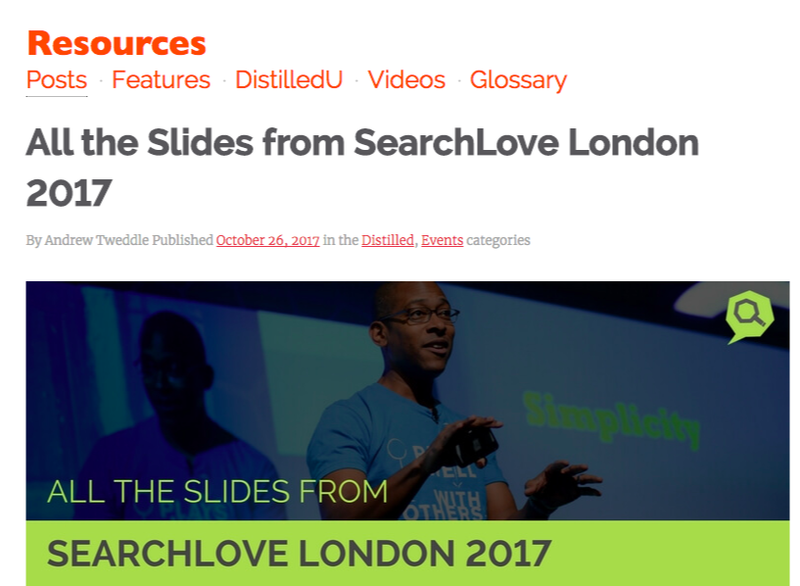 One clever way I've seen in company blogs doing to get more site visibiity is publishing a curated list of slide presentations of all the speakers when they have organized an event. Some SEOs may just look at it as a simple marketing strategy, but it's a crafty newsjacking idea to put a list of visuals that often have high demands for consumption. How many people have asked speakers this question, "will you upload your slide presentation online?". There's many of them - attendees who are always looking for speakers' decks. And if they've found the organizer's blog that puts up a page for those resources, would they not be willing to share or link to it? The essential here is that you have to be the organizer yourself and been able to publish slides first among every other else (because speakers tend to publish theirs on their own blogs as well). Besides creating a page that is dedicated to those slides, it's also important to upload those pieces in your Slideshare account to get more organic visiblity (as they have chances to rank for long-tail industry keywords). Imagine if there are 3 to 5 slides (just you curating it) has earned links from blogs in your industry. It's 5 or 10 links acquired with just simple method! Just reaching out to them and reclaiming those links, asking if they can credit you as the source of those visual assets. Flickr maybe an old platform for people uploading photos online. But it can still be a gateway for links in respective industries where images are heavy-indexed, like travel, lifestyle and home improvement. 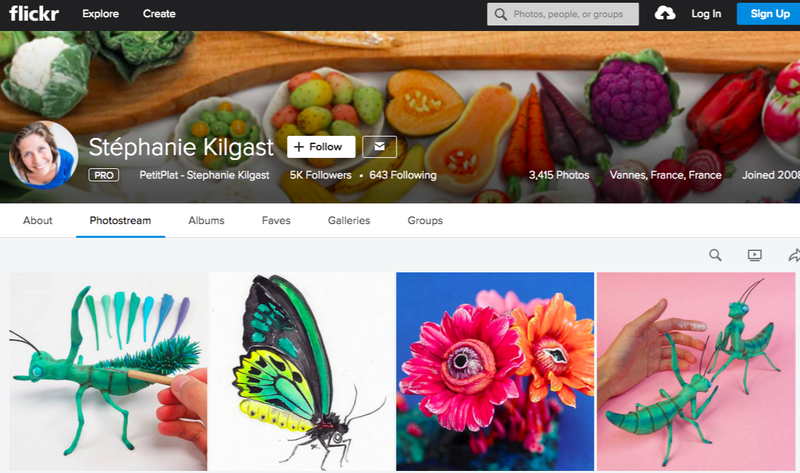 Flickr profiles with customized photos are getting links from time and time - and if you've got one, find out who used your images. You email the contact person and ask if it is possible not to link to your Flickr profile, but to your direct website itself. There are strong signs of linking, such in the case with links that have via [Name] or Photo captured by [Name] below the embedded slide deck. 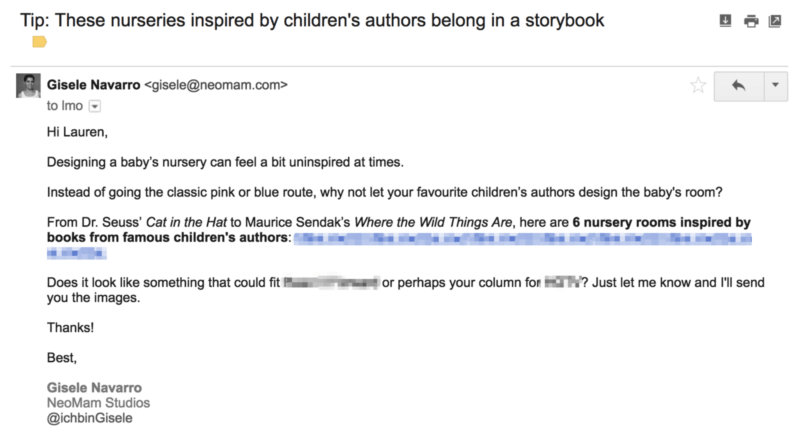 You can insert lines in your email that say, You may provide a source of link in your caption text (via domain.com). If you got it right, that's a few homepage links you'll never just easily get from other link building methods. When ranking your website in Google, it's imperative to find low-hanging keywords you can easily rank without much due diligence in promotion, especially if you're a relatively new website. Those keywords are goldmine opportunities that may only require you to put a content that is only 2x better than other pages in search results. And be mindful that you don't have to create 10x content just to rank. With an average DA of your domain, it's possible to steal those easy organic traffic. One brilliant tip to find those visual ranking opportunities (h/t to @dan_shure) is with the use of Pinterest. Pinterest pages rank for keywords you may haven't thought that are relevant to your industry. Some keyphrases even have high link intent, which gives you enough confidence for manual outreach. How to start this content creation approach? Put Pinterest into semrush.com. (I prefer SEMRush than Ahrefs when filtering millions of organic keywords straight on the platform without exporting CSV files). Your next step is to filter keywords by your topic + "ideas" or "images". Then filter again with keyword difficulty. Do this method every month to find newly suggested or searched keywords and you'll have endless visual keyword opportunities you can rank content with. 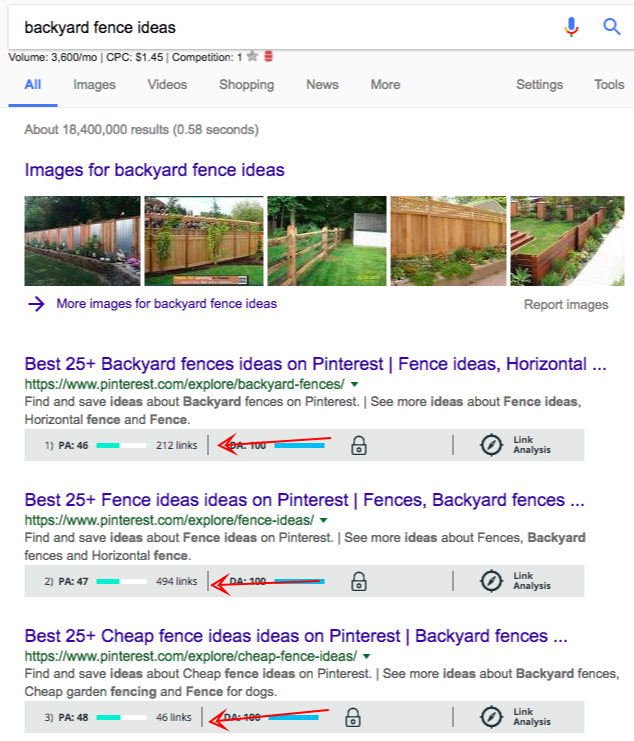 For example, "backyard fence ideas" keyword has Pinterest pages with good link intent (20+ average linking root domains). That keyword opportunity alike, given in your respective industry, is something you can grab and create 2x content with it which passively helps you earn links when you rank. Image links, for some of you who don't know, are links pointing to your site not with the use of an anchor text, but with an image. As you can see, these are legitimate links, that are mostly executed from a traditional partnership perspetive, i.e. the case with professional organization. You join a partner group and they give you link from their partners/association page. In most cases, these links are hard to get by just doing outreach, and requesting for a link. You don't do that. for sure. These are gold mines. You think and plan how to acquire the link properly. 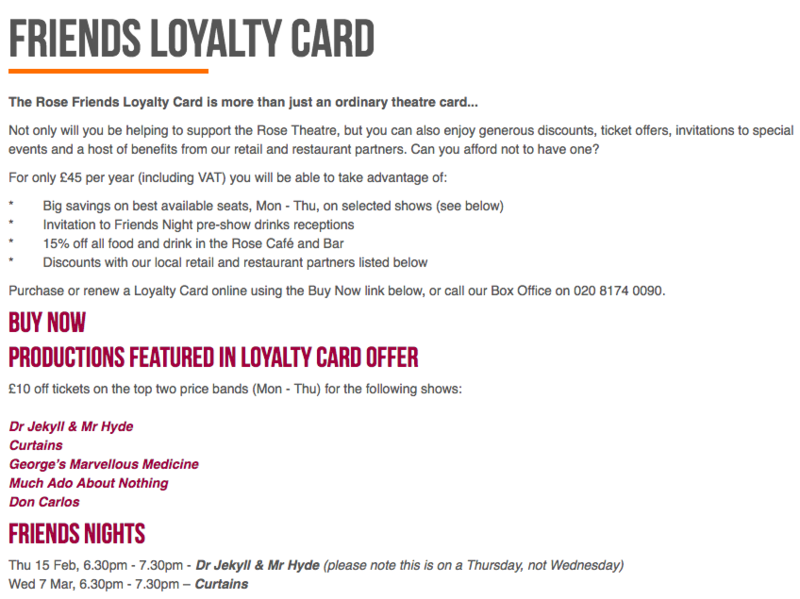 But with good approach and if your brand permits you to sponsor/partner/join or even create a loyalty card for customers, it's not only a branding opportunity. But along the way, you can create image links. Put up a competitor's domain to a link prospecting tool. Go to its Backlinks profile and export a backlink report (CSV). Filter the list with words containting "Image" to only find image links, either do-follow or un-follow. Search through potential link opportunities. Understand how your competitor acquired links. Some may take manual outreach, others may take weeks to partner for a program. But there are a few that only requires to create a profile and upload images, just like this one. Honestly, not all image link building tactics can best fit for your website. But if there's one tip that is very simple to do to build links through images is you approach publishers and give them permission to use any of your visuals. By giving them permission, you provide value upront that sets you apart from other link pitches, that say, "give me a link". Jason Acidre established a solid image link building strategy of creating a private gallery/library of images and cinemegraphs and offering it to bloggers in exchange of links. With more bloggers caring more about the design of their content, they'll likely perceive your pitch as highly valuable, especially if it's given for them intentionally and for free. If you don’t have the time or inclination to do them, you should probably find someone who can. Learn more about our link building services. 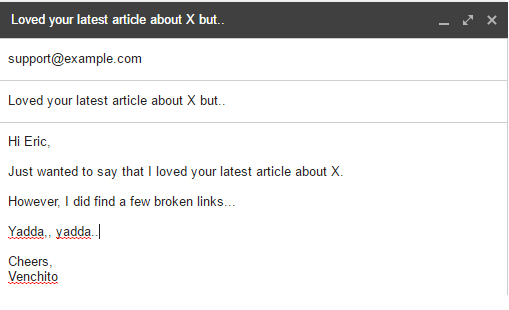 Guest blogging is not the only contextual link building tactic. There are several which you are yet to figured out. What is a contextual link? A contextual link is a type of link that’s usually found within the body of content and is in context with the idea surrounding the link. It can be both natural (voluntary links from other websites – ex: link bait) and artificial (manually built – ex: one of your guest posts that links back to your blog/content). Targeted traffic. Leads. Online brand presence. They are all good, but only seem "to be too good to be true" if you don't know the exact how-to's of building the right contextual links. Today, I want to give you 7 ways to get contextual links for your website. Targeted outreach is basically sending out emails to prospect linkers of a very specific content - most are existing articles with the same topic, with a hope to get reference links back to the site. Let's say, you have published a post on "how to stop my husband from snoring". 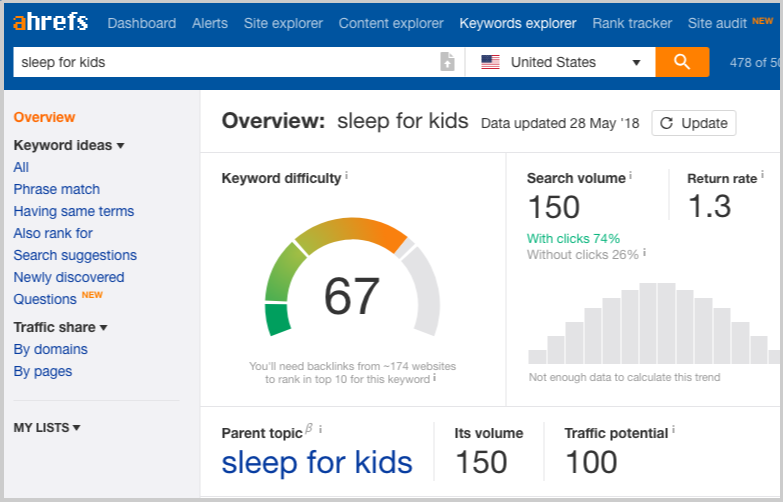 If you want to get contextual links, you may reach out to articles that rank for terms like, "how to stop snoring", "how to stop snoring of your partner", or even "top snoring apps". Because they'll find your article to be relevant to use as an additional resource (i.e. including your content on "you may also check out this article on" or "for further reading"), there's a good chance you'll acquire a link. But it's not a guarantee that it works all the time. You have to understand the context of the linking page and your content, so you could determine if there's a good linking chance. First, check the primary focus topic of the article/page. Ask yourself, "Does the prospect article I'm trying to get a link from cover a much larger subject compared to the topic of the content I'm pitching with?". If you are pitching your "top snoring apps" to an article about generic "how to stop snoring" content, there's a good chance to get a link from that because the linking page covers a wider subject and perhaps has a subsection about snoring apps - which then provides you an opportunity now for a link. But how about if it's vice versa? 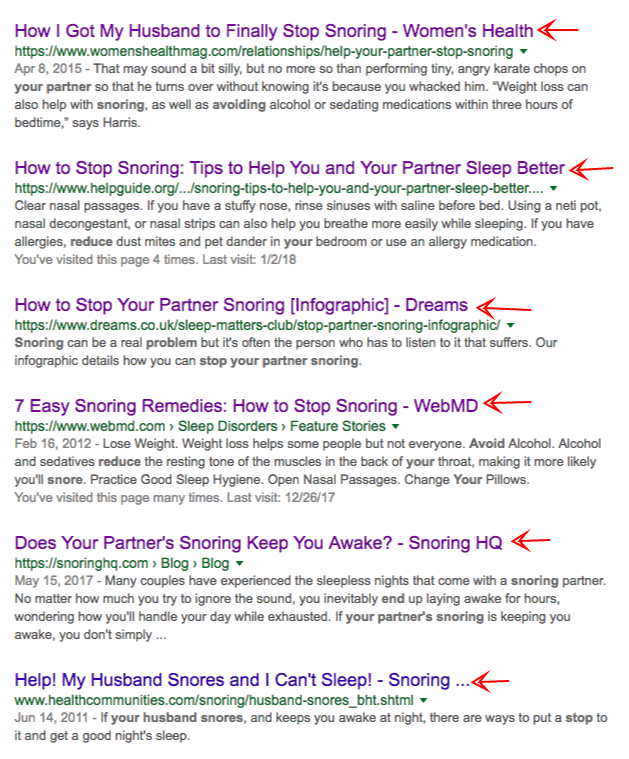 "how to stop snoring" to "top snoring apps," would you get a link? 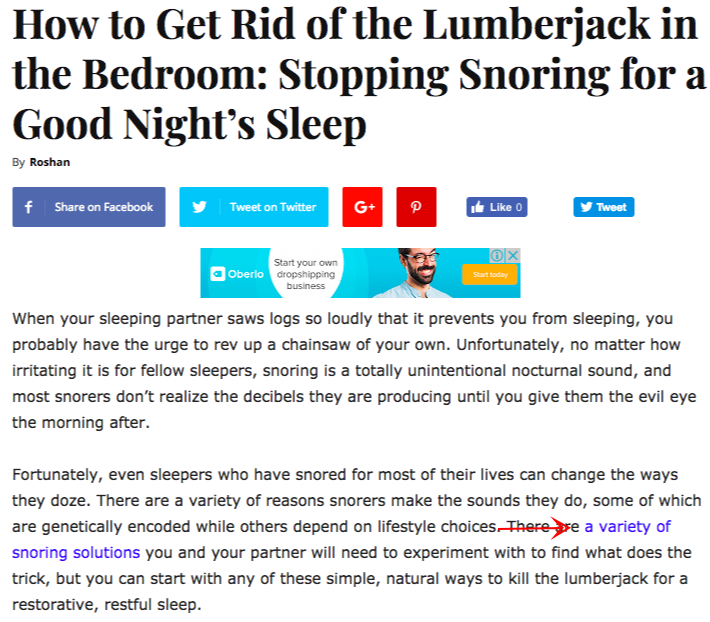 Depending on how the article is structured, if the article covers exactly "top snoring apps" and your page isn't about apps, there'll be misalignment on his part to link to you. But it's not always the case. If your article speaks about a subsection on snoring apps which hasn't been discussed/included in the prospect existing article, there's a good chance you'll get a link. The logic is that the blogger would want to give a reference link to a page that explains more about a topic/word/phrase mentioned in his article but have yet to be expounded. Second thing you need to do is to assess external links on a page. If you see a homepage link on an article and it's referencing a product/service, not as a recommendation just like brand mention (see example below) or a product review which obviously links to a commercial page, there's a less organic linking chance to it. The reason there's a link there is either the webmaster/blogger is affiliated, partnered or is compensated with for the effort of linking or simply, the product/service is an authority in the space - undoubtedly being linked to in most blogs. Third thing is to identify if the page is dynamic or static. What I mean with dynamic is there are pages that frequently updates over time and there are others pages that are not. Those pages that require updates of links are dynamic. If you're reaching out to a dynamic page, there's a high probability to acquire a link, as the need itself looks for new resources or references. In other words, they'll be linking to your content if it will make their content piece better. A post on snoring apps for 2017, for example, can be dynamic if its URL isn't targeting snoring apps 2017 phrase. 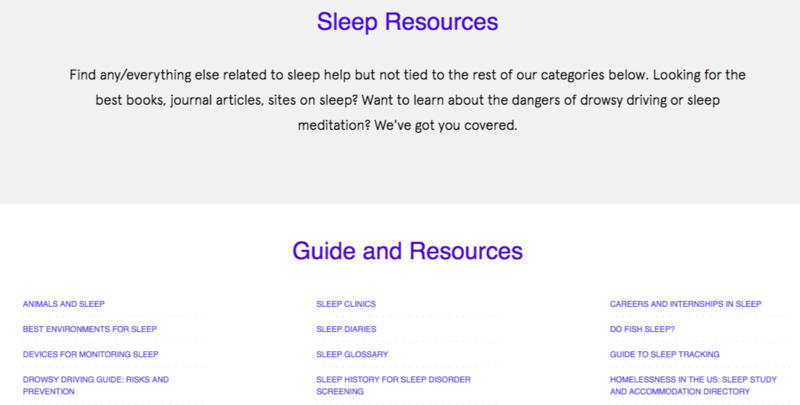 If it's just snoring apps resource article, it gives space for new links to resources. The more dynamic the existing page is, the higher is the likelihood you'll get a link. Otherwise, if it's static, they should have reasons to link other than the timeliness of the topic. So, there are three ways to check if an existing article/page can potentially link to you. 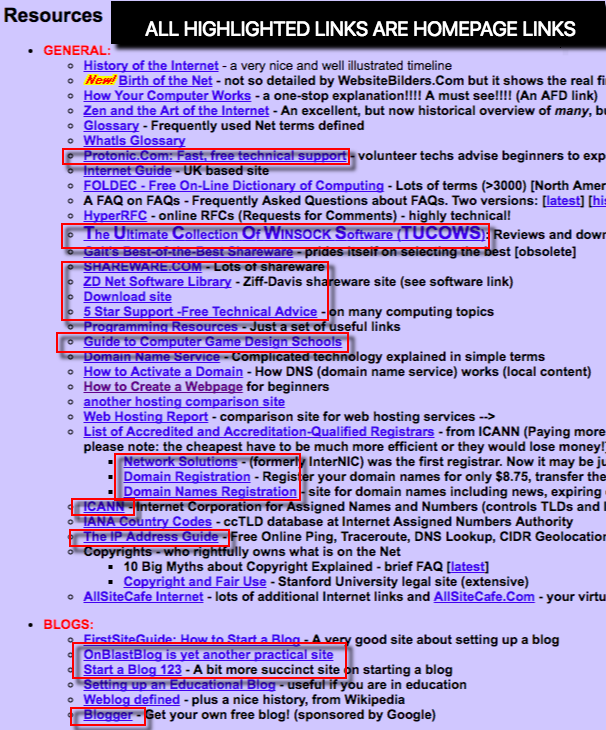 You aim links from DA30+ blogs, but from sites with lower metrics (<DA30), you probably don't. Not pitching low authority sites is kind of a short-sighted thinking. If you aim for traffic and clicks from links, there are low-authority sites with upward trends in organic growth that you should be getting because they actually increase the value of links when you get them. More importantly if these are blogs that are still new in the industry (use archive.org to check), you'll find that after a few months or years, they'll have increased their followers and linkers. Thus, if you have build relationships with them upfront, it will not be difficult to convince them for you to contribute posts on their blogs. 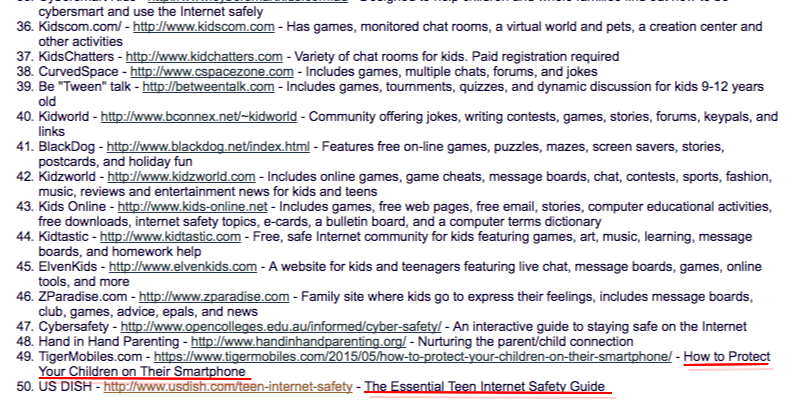 Note: If you have an authority brand, you should aim for top-tier industry blogs. But if you're starting to grow your link profile, pursuing even low authority blogs can be effective for you. To check if a low authority blog is worthy of your link efforts, you can use Ahrefs or SEMRush to basically check the site's estimated organic traffic. The slope of the organic traffic trend signals the site's growth. The steeper the slope upward, the better. Once identified if a low authority blog is link-worthy, you'll then reach out to them with whatever offer you have - either a content asset worthy of a link or a visual asset ready to be republished. You probably heard that tip from Ross if you religiously consuming content from SiegeMedia. In my experience, that's one way to assess your chance to get the link. If there are commercial links (i.e. 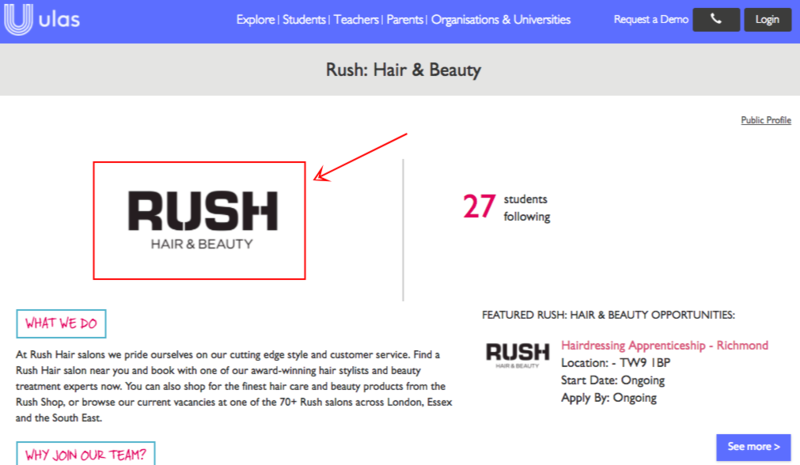 one link is pointing to a product page) on a page, then you have chances to get a homepage or commercial link as well. History of linking to similar page types is one true sign of a possible link. However, that's not to say that it is always a guarantee. With proper assessment, you may know if a homepage ask is worth pursuable. Keyword-optimized anchor text - very few you'll find a link with the exact target keyword/phrase as the anchor text. So seeing one (except for Exact-match-domains where brand names are exact ranking keyword) is an intent to link to a commercial page. List of partners - you normally see this in eCommerce space; retailers, manufacturers,, suppliers and other business partners types are mostly homepage as linked pages. Even if you've got a great content piece published recently, if you think a homepage would be best fit, that's something you should pursue to be linked to. The opportunity cost is high if it's not, given that a homepage link is way more difficult to acquire than top-of-the-funnel pages like industry guides. When you have a great linkable environment in your space, you'll start receiving emails from other bloggers or webmasters wanting to get their links to their own sites. Three or five asks of this kind every month is a good opportunity to link exchange. Depending on cases, you'll find that it's okay to exclusively link exchange for both linkable assets. It's natural to find a page that references good content and a page from another site links out to your good content. Here, you don't get links mutually to the same pages (page A to page B, page B to page A). That's a 2008 link exchange. Rather, your content A gets a link from his page A and his content B is linked on your page C.
A. 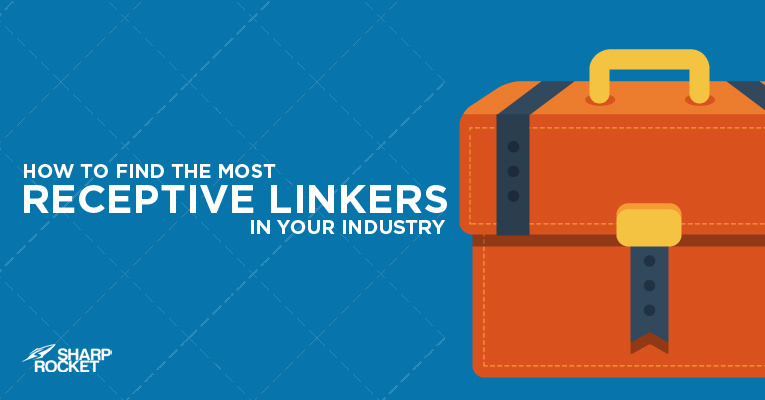 Check if the linking partner is a good fit. You will receive different emails of an ask to link (link exchange): some pitches include direct links to their preferred pages/content, others didn't have. If the email is handcrafted well (with your name personalized), it's a sign of a good linking fit. 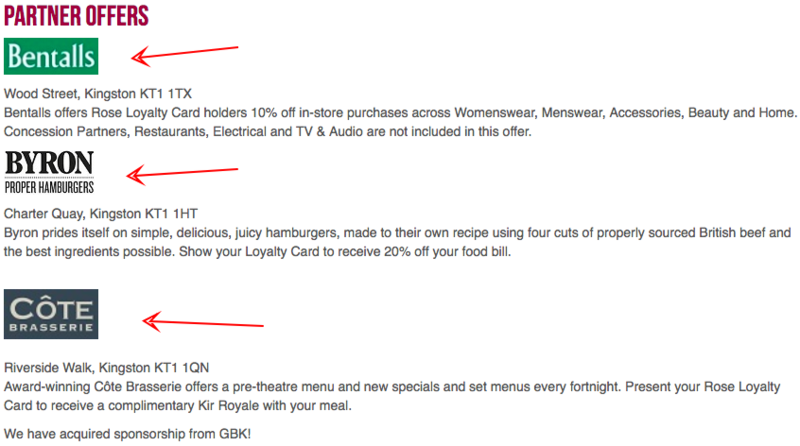 However, there are emails that start with Dear Ma'am/Sir but still has a good relevant content piece. The person reaching out just doesn't know how to outreach properly. So, always check the email and the website they have. 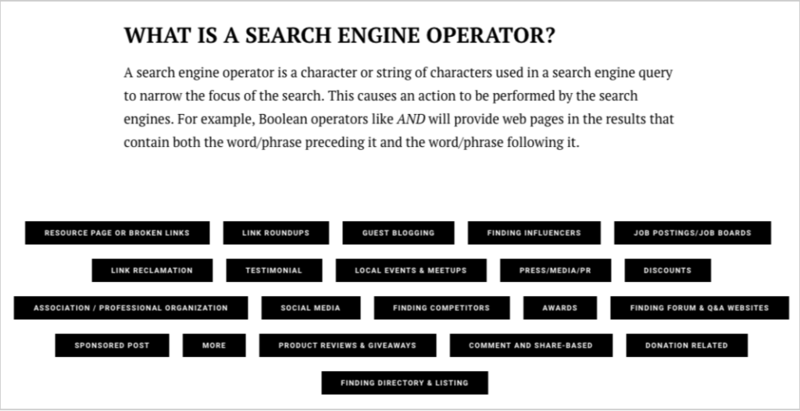 Assess if the page or website itself is semantically fit to your brand. B. Assess their preferred linking page. If it's a content page they're building links to, it's a potential fit. Otherwise, for commercial pages, consider if the product/service could be highly recommended on your website. As Ross Hudgens says, "Building natural links to landing pages with commerciality built in is pretty close to impossible with cold outreach." C. Identify which page you could put their link. Unless you're willing to put a new page/article to give them a link, you could simply search an existing page in your own website that best fits them. If you have a recommended readings page, that's one choice you can pick as you can simply include a link to their content if there's a section that fits their topic. D. Check if you could also get a link. I suggest you choose one page that you'd like to improve more ranking visibility by getting more links to. Then by doing a site search on Google for their domain, site:hisdomain.com "topic", check if they have a page that fits the topic. 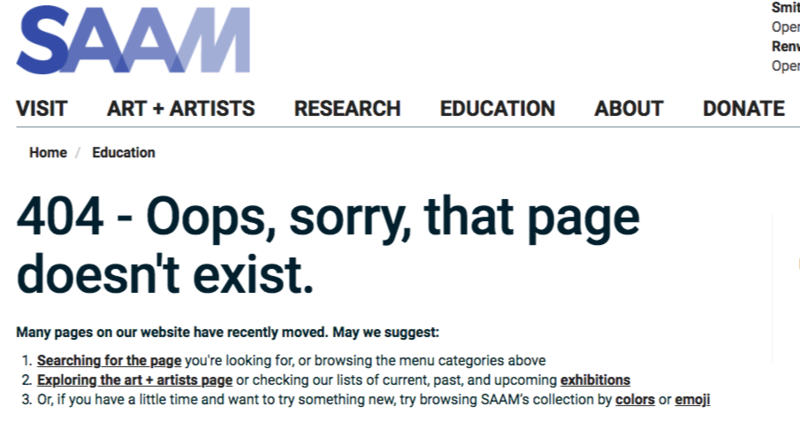 Perhaps you've found broken links on a target resource page and you thought, "maybe I could tell this to the webmaster to connect easily, with the hope of getting a link". So you easily go to your outreach tool and craft an email to be sent to the webmaster, with the note, "I've found errors on your page". He doesn't respond so you send a follow-up. Nothing happens so you proceed to your next outreach prospect. This is an opportunity cost..
No response doesn't mean there's a huge problem with your link prospecting and outreach approach. There may just be a little tweak needeed to properly connect to your outreach prospect. How about sending a direct message on Twitter to connect? Most bloggers are active on social because they care about their community (their followers) and consistently curate industry posts through social posting. For that reason, if you send a direct message to a blogger to tell about their broken links, there's a high chance you'll get noticed. Once you've connected on social, you have a choice to stay in the medium for the conversation or redirect messaging to email. The latter best works if you've asked the person about his personal email. Right when you do a search for "contextual link building" or "contextual links", you'll find articles on the first page of search results that say, "get links from link roundups." You know that the tactic has been written several times on many SEO articles so you know how the process works. Step 1: Use search operator, "link roundup" "INDUSTRY" or "roundup" "weekly" OR "monthly" "INDUSTRY" to find industry-specific link roundup opportunities. Step 2: Create a list of blogs with link roundups and find contact emails of webmasters. Step 3: Reach out to them with an email template that says, "I've found your "ROUNDUP NAME" .. and thought you might be interested to see this recently published on TOPIC — <insert your link to the post>" or anything similar to that. It's an effective tactic but not everyone could get results from it immediately. What's missing in this tactic is how to really optimize prospecting for industries where there are little-to-no outreach market for this rare type of link targets. Not all link roundups have titles of "best links of week/day/month" or "industry link roundup", most of you would discover that sites named their roundup series with weird names, i.e. "blog party," "link party," or "blog hop." They may sound black hat 2008, but these are exact terms blogger use in reference to what we call "link roundups." So, how do you find exact link roundup titles in your industry? I recommend you start identifying an authoritative industry blog (one with DA60+) that publishes regular high-quality content pieces. For example, if you're in the wine industry, one popular wine blog that consistently produces high-quality content is WineFolly. They publish a diversity of content assets - from 10x guides to visuals, they do it on a regular basis. By checking their top content of all time (top content with highest number of social shares, not by # of links), you will see this post on pairing wine and cheese. 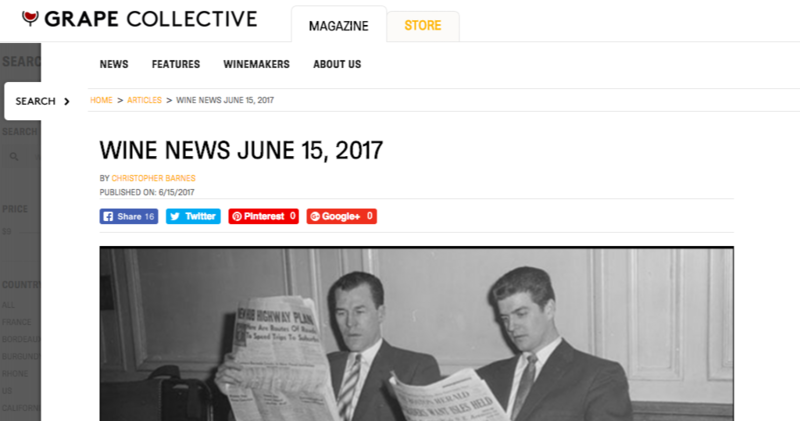 Take a deeper look at its referring links, you can immediately see roundup links, including this roundup post - GrapeCollective Wine News. 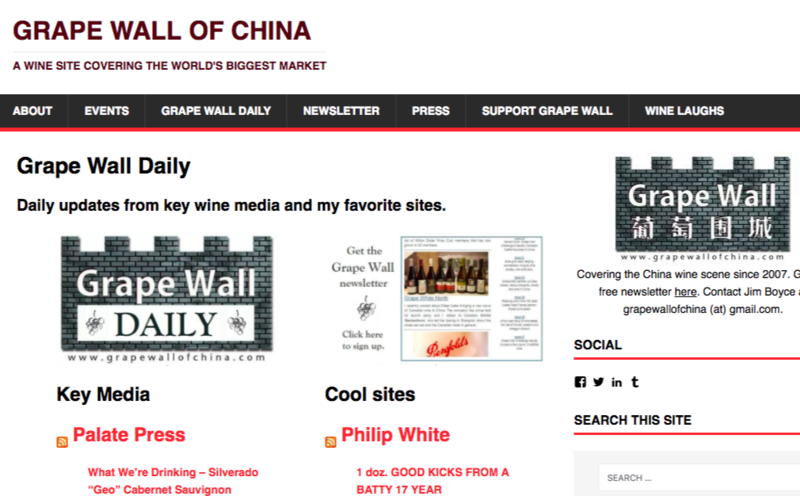 Dig into other top content's links and you'll find more roundup links like Grape Wall Daily. You understand the pattern. Find a top industry blog that produces high-quality content pieces. Check the site's top pages based on social shares (you can use Ahref's top content feature, not top pages). 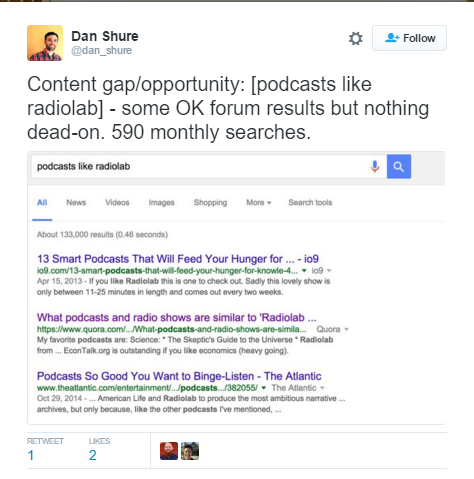 Check if the most-shared content has gained roundup links. If yes, grab those link opportunities and gather more link round targets by reverse engineering the site's other content pieces. It has been proven time and time again that getting contributors for your blog can help increase its number of referring domains. For example, Joshua Dorkin was able to grow his real estate blog - BiggerPockets by putting out high-quality content pieces from regular contributors. That strategy allows his blog to become one of the real estate authorities today. In his comment at Kaiserthesage blog, he said that he gets 30+ contributors to write for BiggerPockets every week while he ensures that they put out 2-3 good pieces of content through his content marketing team. 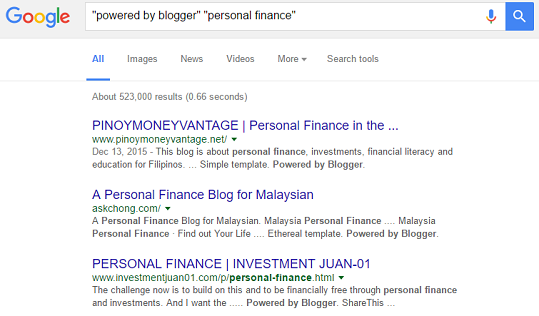 Today, BiggerPockets for sure has more blog contributors. Maybe double, triple or 10x their site traffic because of that strategy. That's just for one industry, but there are also other niches with massive blog community that have gained more exposure and more links simply by getting regular contributors for their blog. Getting started with inviting-contributors is easy. You send emails to potential contributors and ask if they're interested to write for you. The hardest part is getting them onboard. If you can answer "what's in it for me" for bloggers, you'll have high chances of enticing them to become your regular contributors. Increased exposure to blog through additional social following, email subs, and referral traffic. Got a DA45+ blog? Reach out to new bloggers (DA20 or less). This is more realistic than pitching top authority bloggers (DA70+ blog). Premium product subscription. I wrote for Ahrefs in 2013 in exchange for monthly standard subscription plan of their product. This works for your niche too, if you have a great product to offer. Content collaboration. Less work for the blogger. Gets more credibility for both parties if both of your blogs have an immense following on social and emails. Compensation. Best is to target part-time bloggers. They charge cheaper than full-time ones. One tip is to check if their about/media/press/hire-me page. If they include $ per article/hour rate, they wouldn't go cheaper than that. Relationships. This matters most if you want to bait bloggers to write for you. No need for additional offers, as they wholeheartedly would write for your blog. Once you have invited bloggers to write for your blog, you may constantly check new bloggers in your industry you can potentially reach out to be added to your contributors' list. So those are 7 ways to build contextual links to your site. As a company who loves building backlinks, it’s a must to do for us to come up with new innovative link building tips, not for the sake of posting something new here on the blog, but for keeping continuous improvements on how to get backlinks to our clients. Here are some tips to get backlinks to your site in 2018. 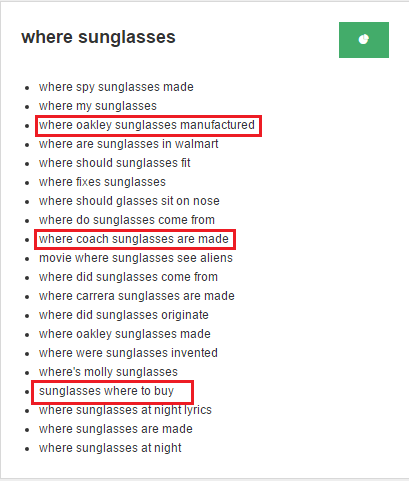 You might have used “list-type” of queries to find backlink sources. However, the problem with some directory sites listing “top industry blogs” is that they are outdated and often include bloggers’ other websites (private blog network) – when overlooked, this might actually lead you to low-quality backlink prospects. Instead of getting quick backlink sources from “top x” blog prospecting, you can look for author’s personal recommendation of websites by using simple Google searches like “personal [industry] blogs I recommended”. 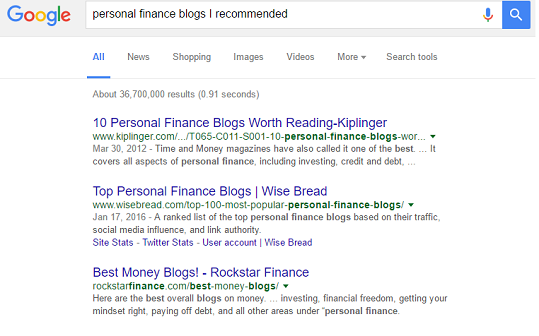 With this, you’ll find an updated and topically-relevant list pages of recommended blogs. This is actually part of personalizing search queries for a targeted link prospecting approach. Adding a few lines to your email like, “I stumbled upon a list of personal recommended blogs from domain.com and saw that you’re part of it” could make outreach significantly more effective. When you are giving people an idea where you got their contacts, you are instantly building connections with them. Using footprints to make backlink research easier has been a common practice in the internet marketing space. 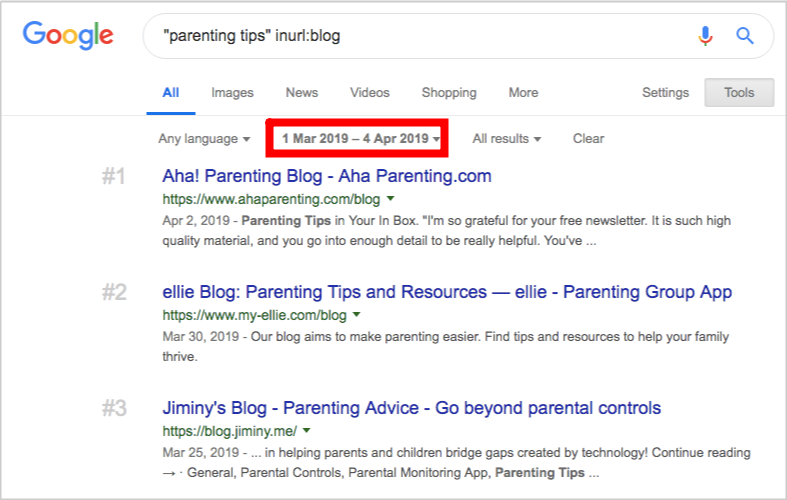 If you typically prospect with “guest post-related queries”, it becomes less hassle to find blogs that are accepting contributed content pieces. Of course, do this sparingly if you don’t want search engines to detect backlinks with only one keyword in place – i.e. “guest post finance”. That’s not to say that footprints aren’t of good use for link builders. 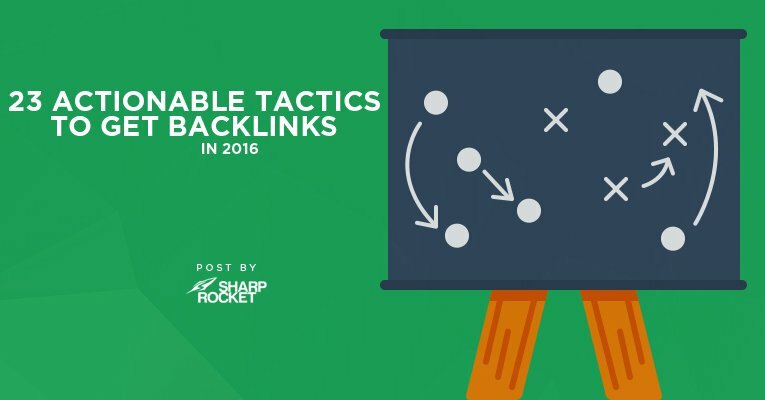 The best practice is actually using them as a backlink qualifier. For example, you probably have seen blogger attributions at the footer section of every website (“powered by blogger” or “powered by wordpress”). Websites with this type of attribution are personally developed by sole bloggers or those who are at their newbie blogging phase – not with company sites, they’ll likely remove this default attribution and replace it with something else, “Designed by [Web Company” or “Copyright 2017”. If you’re seeking blog opportunities, you can use CMS attribution to separate blogs from company sites – giving you better response and link acquisition results. 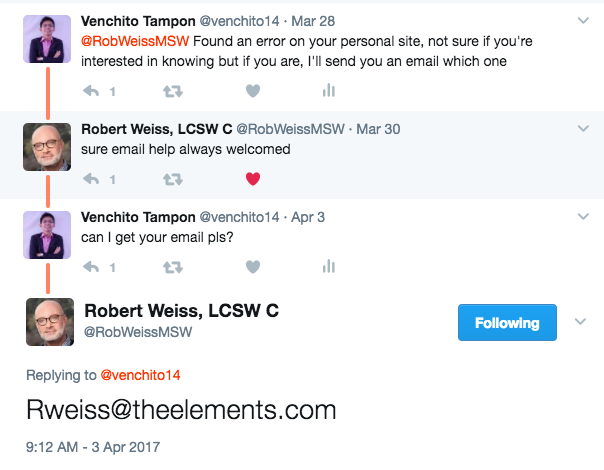 When you send pitches to webmasters and get automated responses, it’s fairly easy to ignore them and proceed to another prospect in the list. However, if you spend time finding these potential backlinks, it would be best to reconnect again and build bridges to them. For this reason, you can check the exact date the person is likely to return to work – 100% of the time, this is visible in their automated emails (see the email above). Schedule follow-up emails at return dates, and use the same value proposition you’ve initially pitched. Marketers talk about using Twitter solely for content promotion all the time. However, on a link building perspective, you can actually use this social platform to prospect for blogs that aren’t just giving you social shares, but also qualified backlinks. 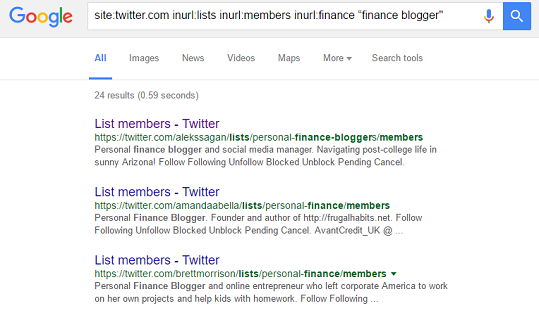 Start your Google search with query, site:twitter.com inurl:lists inurl:members inurl:finance “finance blogger” and prioritize Twitter lists that are labeled with recommended experts, influencers, top bloggers and titles alike, so you would spend less time qualifying linking websites from Twitter profiles in lists based on link metrics. This works more efficiently if you can automate this link prospecting process using URL Profiler. 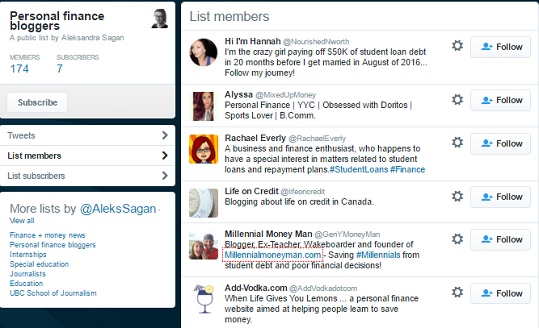 You can check out this step by step guide to scrape Twitter lists to for bulk prospecting. James Norquay introduced me to this idea of generating content ideas through the use of Facebook page. A simple trick like asking a relevant question to thousands of followers (if the client happens to maintain this growth) can ease the difficulty of brainstorming a content theme that resonates a target audience. Having said that, this is a powerful workflow a content marketer can repeatedly execute, not only for content creation, but also for increasing the chances of promoting the content. If you aggregate answers from followers, you can effortlessly ask them to share the content piece, once published. Facebook allows for more content visibility when people get nudged for every comment that is added to the post, as it pushes back to the timeline every time – giving some feedback to every answer, i.e. saying thank you also provides extra nudge. Generating backlinks from web communities is tough. If your main strategy is creating individual profiles from each of these community sites and inserting backlinks to your brand, you’re missing out huge potential equities you could derived from them. The best 2017 link building practice is to impress members with contributed content, interesting questions and immediate submission of 10x content. If you repeatedly do this, you’ll create a flywheel effect that builds an impressive online presence, which will eventually result to backlinks. One pro tip here is to observe Ask Me Anything-like opportunities and become the first one to grab it – while moderators qualify based on expertise, there is a higher probability to be included in their line-up of AMA experts if you become the first to pitch them. This strategy works for us at SharpRocket, as we’re able to build high-quality backlinks from Reddit (DA70) and Inbound.org (DA90). Not a surprise – this drives converting visitors to our sites who became our current clients today. Content matters, but it’s not actually the king – value proposition is. What keep pages ranked for a long time is their ability to satisfy users with information they’re looking for. When you stumble a keyword with high search volume, but with high content gap from any ranking pages, you have spotted a goldmine there. 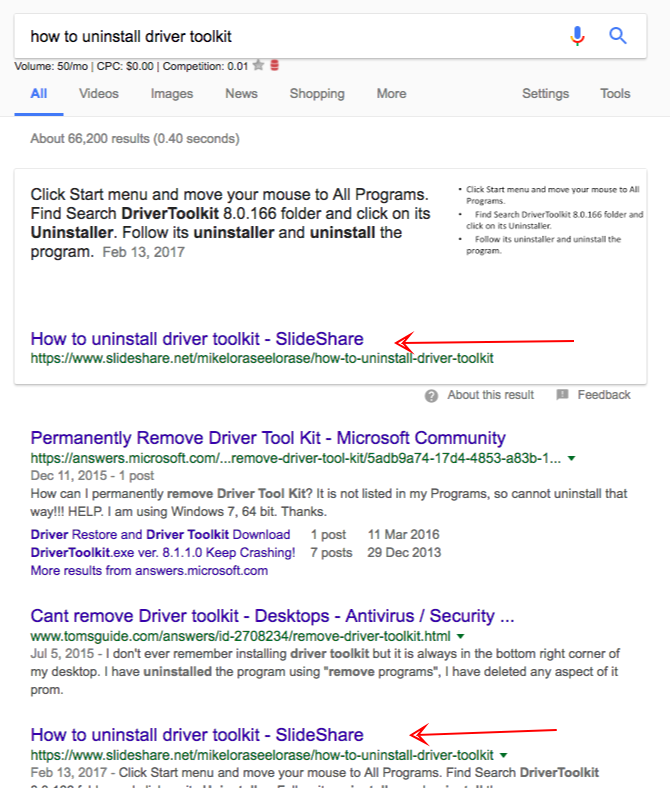 This tip is actually inspired by Dan Shure’s post on Twitter - that is executable when targeting informational searches with nothing to compete in the SERPs. By giving content chances to rank in low-competitive non-commercial keywords, it’s very possible that many publishers and researchers will pick up the page when it gets ranked and use it as a reference to their content works. If you can create different content pieces that easily rank in search, of course, you earn high-quality editorial backlinks over time – doing less efforts in outreach. If you’re pitching webmasters with right timing – early morning on peak days of the week, you probably see good results in your outreach response and conversion rates. Even if content can speak for itself, when an email isn’t read on days and hours when people are likely to see it, you potentially lose the likelihood of hitting a link. Having said that, there’s also one best practice that supports right timing – that is, aligning outreach with high traffic periods. If your most visited days in your newly published content are Tuesday and Thursday, it would be best to reach out to people where there’s higher probability that the relevant outreach market is ready to link to your page. If you’ve got an access to client’s analytics, track the highest traffic periods and match this up when scheduling emails. You can check out this guide for a complete setup on the blogger outreach process. When working on a round-up post, it’s pretty easy to start emailing industry influencers with a question – what is your best X strategy in 2017?, then end the email with a straight call-to-action, “mind sharing the post?”. This strategy works for some content marketers, but there’s a higher probability that this may not resonate to verticals who understand what this game is – influencers might answer the question but won’t be enticed to share the curated piece. However, there’s a more advanced way to come up with round-up posts that are likely to result to shares and high-quality links – which only a few content management teams dare to create…. success stories. Have you encountered a case study that walks you through the entire process on how to do a thing? This immediately takes you to action, right? and encourages you to share the piece to others even without testing it first. Combine success stories with a round-up post and you’ll end up with a 10x content that is worthy of social shares and high-quality links. One best example of this is the annual success stories (2013, 2014 and 2015), produced by the content marketing team at PageOnePower. These linkable assets combine different success stories from top link building experts on areas of content promotion, relationships, publicity and mentions, innovation and creative and business-oriented links. Success-type curated content is unique, comprehensive and repeatable – there’s unlikely contributions will be the same since they’re based from own experiences. Experts combined into one post make the content also comprehensive – making it repeatable given that there are actually new stories to tell every year. The ability to construct productive Google search queries will separate success from failure in link prospecting. The more concrete and specific a search query is, the better search-driven pages it would yield – after all, it’s about the quality, not quantity. If you see 5 million results from a particular search query while not being sure if most of them pass your link metrics, then it would make sense to get more particular with your link prospecting keywords to discover high-quality link targets instantly. In our day-to-day tasks of finding and qualifying blog targets for our clients (an average of 500 each client), we’ve noticed that list-type of content dominate the search results. The secret to expanding a list of outreach prospects is using above keyword-formats along with the intitle:”1..300” advanced search operator (hat tip to @pointblankseo)– the first and last number serves as the start and end point, respectively. 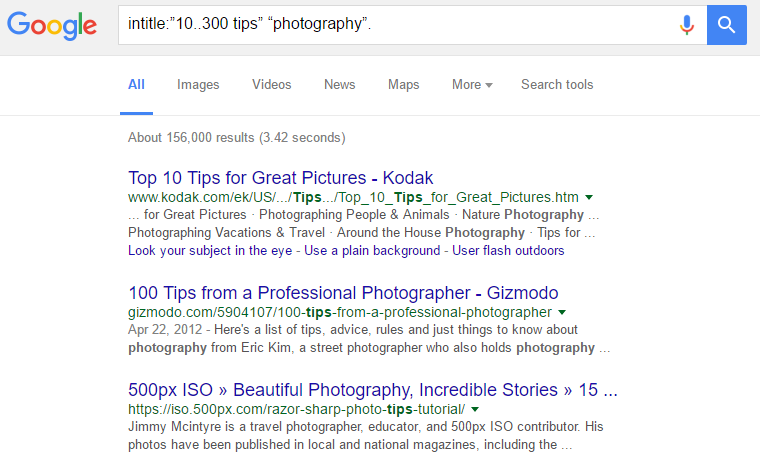 For example, if you’re looking for blog posts with 10 or more photography tips, you can use the search query: intitle:”10..300 tips” “photography”. Take advantage of this when you have content – product or resource that is perceivably useful to the audience, which is likely be included in a list-type of content. When they are placed in off-topic pages or in websites with multi-categories. When they are placed in solely-trending pages (top 2015 best practices) – as time passes by, these pages aren’t perceived as valuable to visitors. When backlinks are temporary placed for particular listings – i.e. sponsorships / annual rented paid links. When backlink growth goes downward – implicating that the webmaster isn’t building links to its webpages anymore. When link value depreciates, the overall backlink profile could negatively affect the site’s top ranking pages - pulling them down to lower pages of search results. This often happens when backlinks is a differentiating ranking factor to compete in a certain vertical. Having said that, lifetime link value considers to be a standard metric when qualifying if a link on a particular page/site can offer long term value to the linking brand. Prioritize websites/pages that are topically relevant to your niche – avoid multi-category sites as they have diversified topic values. Invest in getting backlinks from evergreen content or pages that’ll get updated often times due to the demand of the topic. Pages unlikely to be extinct are valuable pages that can rank for in search as well, which translates to constant flow of referral traffic to your site – once you acquired links from them. You can use CognitiveSEO to check the site’s backlink growth and link velocity – if the graph goes upward, it’s a good signal that the webmaster acquire backlinks to its website over time. When you can predict the lifetime link value of a backlink from a particular domain/page, it’s easy to prioritize outreach prospects – looking at the highest return of investment you could get even from a single backlink. I’ve been using Linkclump for almost a year now, and it’s a guaranteed of big help for link builders trying to expand their link lists in less time. The tool enables you to open links on search results or custom lists in new tabs or new windows - with a simple drag using the right mouse button on the target area. Linkclump also allows multiple links to be bookmarked or copied to clipboard for immediate or future use. 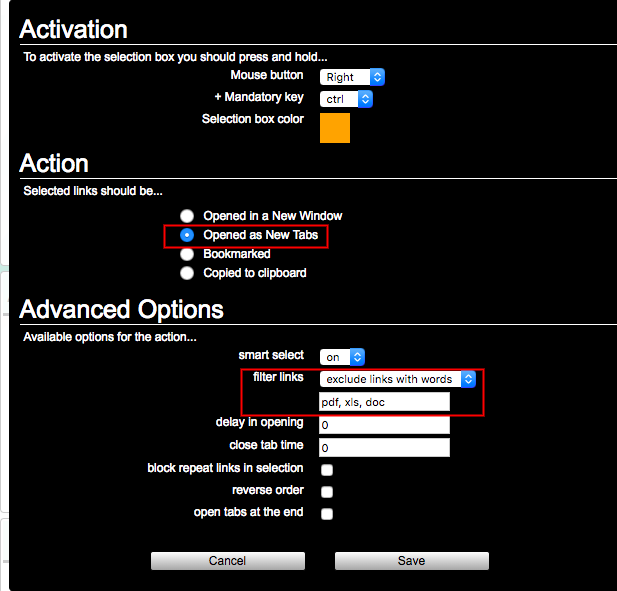 Smart select opens done this way, when combined in several minutes is a huge time saver for bulk link prospecting. There is still one particular use of Linkclump that others aren’t familiar with, but definitely provides great value - filter links that contain or exclude particular words. For example, if you’re working on a guest blogging campaign – with no particulars on sponsored posts, you can add the words, sponsored post, sponsored, paid post as words to be excluded when manipulating link lists. With this, you won’t open links that contain particular words that aren’t relevant to a link building tactic you’re using – another time-saver tip. 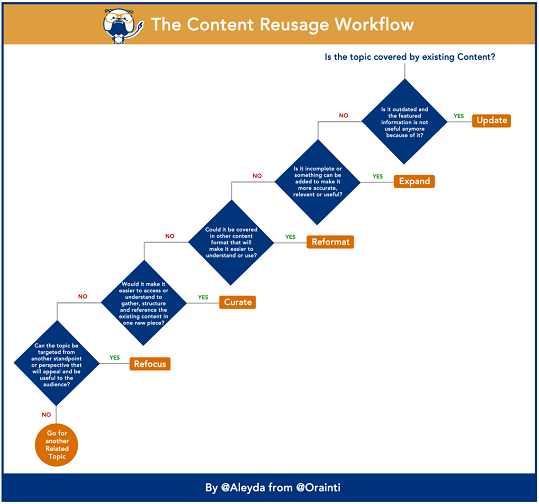 Content reusage, commonly termed as content curation coined by Aleyda Solis, is the process of organizing and presenting outside content in a new, meaningful way either through updating, expanding, reformatting, curating and refocusing a particular content piece. Utilizing content reusage as part of your entire link acquisition campaign drives significant advantage to determining an outreach market. For example, an outdated content piece with 100+ referring domains linking to it, can be revisited and plugged in to a favorite backlink research tool (Ahrefs, OSE or CognitiveSEO) to see which of the links are obtainable. Once the updated version of the content has been published on your site, it’s easier to build backlinks to the page given that there’s an available and qualified backlink prospects to reach out and to acquire backlinks from. There is one advantage when competing in non-marketing heavy verticals – some bloggers and webmasters aren’t taught of non-indexing pages to avoid duplication issues and help the website maintain only quality pages as part of the site’s search-driven pages. While this is unfortunate to some publishers, you can use this to your own advantage by constructing search queries with taxonomies, such as tags and categories. Based on our internal research, we’ve found out that using the above search queries generate more qualified backlink prospects than using normal searches like how to x in industry – being more specific with keywords when using inurl:tag (i.e. 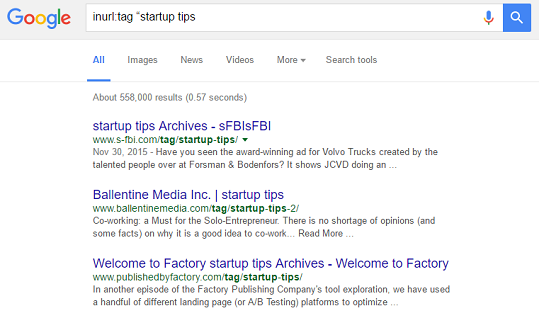 inurl:tag “startup tips”) are more topically relevant than generic tag keywords. Comment marketing is one of the overlooked and misused link acquisition techniques, primarily because most SEOs don’t see the benefits one can gain from this simple link building trick like setting yourself as an expert in the industry, being invited to become a guest contributor, building relationships with other authority publishers, so on and so forth. Most importantly, one comment nudge from community-based blogs like this and this can generate hundreds of referral traffic to a site, which may lead to actual assisted conversions without actually spending much time to execute the entire link building tactic. Be the first one to comment on an authority blog (use RSS feeds plus email to get you notified immediately if there’s a new post that has been published) and make it as part of your regular content efforts with the intent of getting clicks from blog readers (see example above). Target pages that are likely to rank in search – content assets that are targeted with keywords or content themes instead of plain theories, so when you build a link from these pages, you can constantly send relevant traffic to your site. Increasing visibility in search results through proper link building while getting leads from referral visits (conversion link building) is hitting two birds with one stone. While this may not always happen, but if you can actually anticipate that links built from a relevant site/page could drive potential customers/clients to your brand, this is something you must prioritize in your link development campaign. 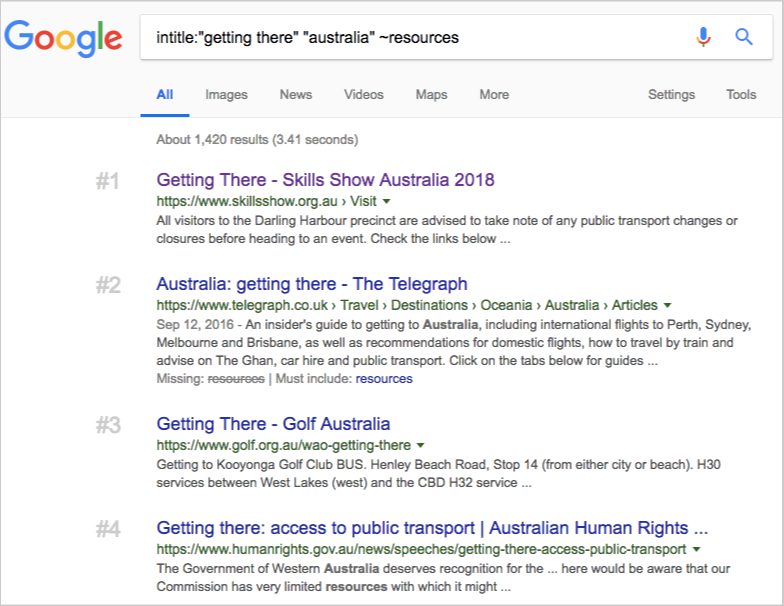 Another link building trick here is to find commonly-asked questions with commercial intent on AnswerthePublic and utilize them as search queries with combined search operator inurl. Additionally, if you’re targeting multiple verticals or you’re handling a set of clients with the same target audience (i.e. Australian-focused), you can acquire backlinks from multi-category forum sites like Whirlpool. This type of sites often get visited by people who can easily be converted into customers/clients – so it’s a big win to earn backlinks from them. Link prospecting consumes a lot of hours, three times more than time spent for outreach. So it’s a definite need to use link prospecting tools that filter sites better in less time but still providing relevant pages. There are a lot of this kind of tools, but one I highly recommend is MillionShort. From the name it derives, it ignores the 1 million most popular websites on the internet, which makes it easier for link builders to find less-authoritative blogs. Needless to say, this is not actually fit for high-level development campaigns, specifically targeting huge online publication sites. 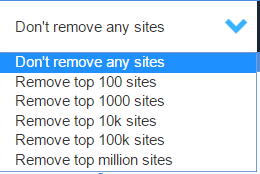 MillionShort has a drop-down list that also provides you the option of removing only the top 100 or the top 100,000. Definitely fit for low to medium-level link development campaigns, the search engine tool helps the entire link prospecting process focused on pages derived from long-tail searches. Consider the context of a link and purpose of page when qualifying prospects. The page may be exactly relevant to your vertical (gardening to gardening) but only offers to demographic-based visitors. 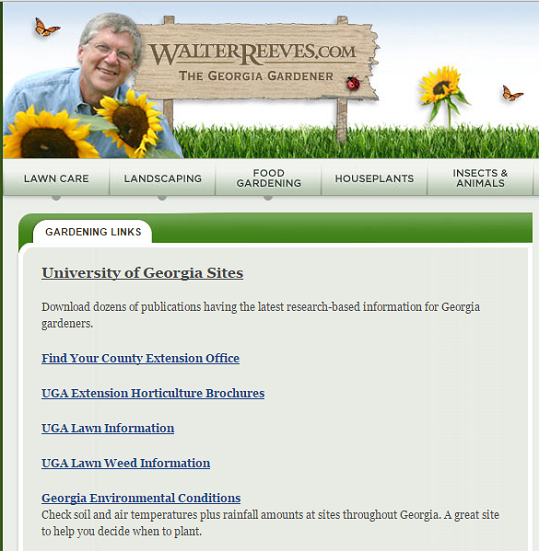 For example, in this particular resource, you’ll have less chances of acquiring a link from it if you have a Texas gardening resource page given that the purpose of the page is to provide research-based information to Georgia gardeners – take note that cities of USA have different gardening and landscaping atmospheres/areas. Another indicator to look at is link type – determining if link is local, national or general-focused, contextual or site-wide, resource page link or blog link. If you have an AU-focused html page and is itching to get a link, you will immediately reach out to the owner of this resource page and request for a backlink. But you’ll likely end up in failure because the page mostly links out to pdfs and publications sites. Make sure these considerations become part of metrics so you can save time in your outreach process and most importantly, helps you personalize outreach emails with the right context. Publishers and content creators often reference co-authors in their content assets by mentioning their social profiles (see image above). These social content can actually earn more backlinks than any page in the website, which is a lost equity if you have many of those but are not pointing to your website. With the use of link tracking tools (see image below), you can discover pages currently linking to your social profiles. 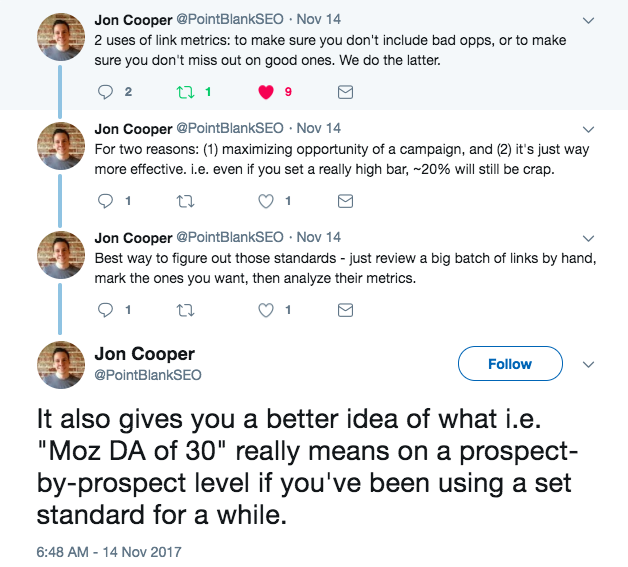 Some social links aren’t convertible into editorial links, such as those that are included in a list-type content (top 50 SEOs to follow on Twitter). However, there are backlinks that of good use like those that referenced your content, quotes/statements – Brian Dean shared an actionable advice to… and stolen your assets – copied infographic that linked to your social profile, not to your website. I noticed that you mentioned my content about [topic] in one of your blog posts at [SiteName]. I appreciate you linked to my Twitter profile. Just wondering if there’s any chance you can link instead to my profile page in my website. The key here is to create a branded page in your website so it’ll be easy for publishers to link to you. Not all backlinks remain for a long time, some are actually lost or deleted due to webmasters’ preference – either they removed the link in the content or replace it with another content source. Lost backlinks aren’t easily recovered since the webmaster may actually abandon the site – leaving no rooms for re-engagement. While removed backlinks can still be recovered by doing an outreach to webmasters and asking if they can add back your link or acquire another link from a different page in the same website – both are best ways to get backlinks. You can start this link building tactic by using Ahrefs to grab websites that removed your backlinks and put them in a list – since these links are normally labeled removed, you can easily identify them in the Ahrefs dashboard. If the page doesn't exists anymore, you can ask current linkers if they are interested in republishing the page but with updated information this time, and if they did say yes, collaborate with them for the new version of the content. If the page still exists but your link was removed, there are higher chances that the publisher is looking for new and updated resources. Go back to your content and update it, then loop back to the publisher and ask him to let the resource be included. Given that you’ve built previous relationships with these webmasters in your initial pitch, you would get a better response rate compared to pitching cold emails to new outreach prospects. Guest blogging still works, but how it is practiced differentiates great content marketers from newbies. If you’ve been prospecting in search using the same and only footprints in 2012 (guest post by, sponsored post, etc..), you are missing out a lot of other opportunities that could easily be converted into links. One way to prospect for guest blogging opportunities is through the use of web mention tools like BrandMentions or Mention to find recently published guest posts that are relevant to your industry. Finding these link targets makes a lot of difference in your link acquisition results given that they are more receptive to outreach compared to domains gathered through search footprints. In a content-based link acquisition process, it always start with finding the available resources a client/business have. Whether it’s online or offline, these assets if used extensively, can entice publishers and niche-like content creators to link to your site. Offline events like trainings and seminars have slide presentations that are ready to be uploaded to Slideshare. If you’ve got a client with these assets, you’re reaching a goldmine others won’t consider in their own link acquisition campaigns. Embedding the slide deck on their websites. Create your own page in your website with all presentations embedded then pitch publishers to source link to that particular page. Offering them exclusive write-up about your upcoming events or overview of presentations and they’ll get the benefit of exposure on your client’s talks (e. featured on this news site/publication – one slide). Ask bloggers if they’ll be interested to conduct an interview with your client in relevant proportion to his slide presentation. Propose a guest post idea to the publishing site that expands the content theme of the slide deck. The main advantage of these slideshare link opportunities is that they convert better than other asset link sources, as some (event participants) had actually interacted with your client. If you know a person runs a website but can’t find a particular email address, you’ll likely send a generic outreach email to a generic email address – asking the person if he can forward your email to the right person. You won’t be aware but this type of emails often get deleted instantly. The webmaster may only be using the generic email address for personal conversations. Additionally, if you are not doing outreach for generic emails and proceed to another prospect on your list, you’ll miss out the link that could be converted through a conversation with the person behind the generic email-ad. Needless to say, always use the name of the webmaster or publisher as part of your greetings – personalizing your email even for generic email addresses. We are here to help you. SharpRocket is a team of link building specialists who love building high quality backlinks. In my work in SharpRocket, I often am asked what is the "best link prospecting tool" to scale link building campaigns for clients. This post aims to answer that question. Disclaimer: I'm not an affiliate of the tool that I'll be sharing with you - it's just that I highly recommend you try it out if you struggle with link prospecting. There are only a few link builders that I respect in the industry because of their deep expertise and love for sharing insights that will best help the SEO community. Garrett French is one of them. He is the founder of Citation Labs, a link building agency and creator of Link Prospector Tool. His tool can help semi-automate the search-query prospecting process that will definitely save hours of doing it manually. Here's a walkthrough of how you can use Link Prospector. If you already know how to use the tool, jump in straight to Feature Tips to get some goldmine tips. As soon as you sign up and login, you can start creating a campaign. I recommend that you name it after your Client or your Website so as not to get confused if you have several clients to work for in the future. Next is to start finding link prospects. Click on Find New Prospects in the Navigation bar. Select the report type that suits your link building needs. 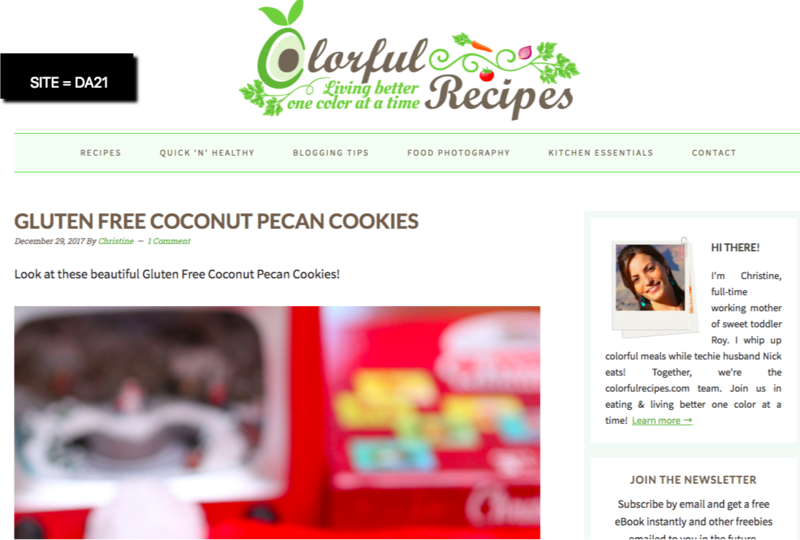 For example, if you want resource or links pages, then choose links pages (pretty easy right?). Click on Create Links Pages Report. 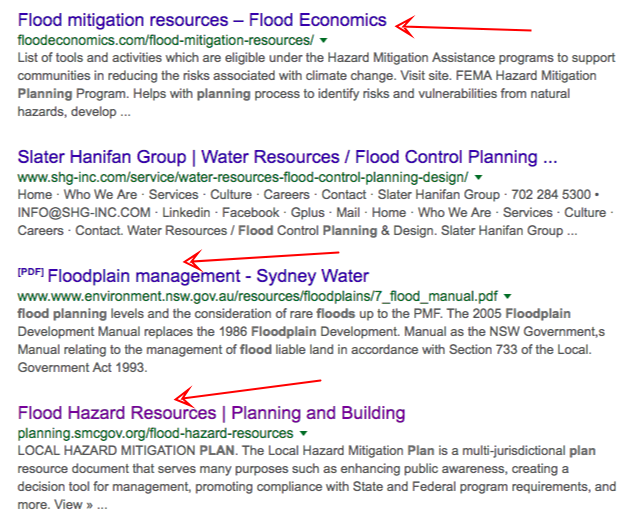 I suggest naming your report under a niche such as snoring or flood planning. You can always go back to specific reports when you have another very specific client in the same industry or have a content asset on the same topic. If you want your link prospects to be very targeted, I suggest you choose customize search features on advanced settings. Let me pause a few seconds here. You need to strategize your prospecting based on these options. Report Update Frequency - if you want your reports to be updated with new link prospects, you can choose update frequency as weekly, bi-weekly or monthly. But if you're doing an ad-hoc campaign, I suggest you choose Run Once. Language - don't change the default (English) unless you're tapping into Non-English markets. Select Region - choose the location you want searches to be queried from. This is best customized for country-specific link prospecting campaigns (e.g. tapping .co.uk backlink targets). Select Scope - leave it default if you're not targeting news pages. 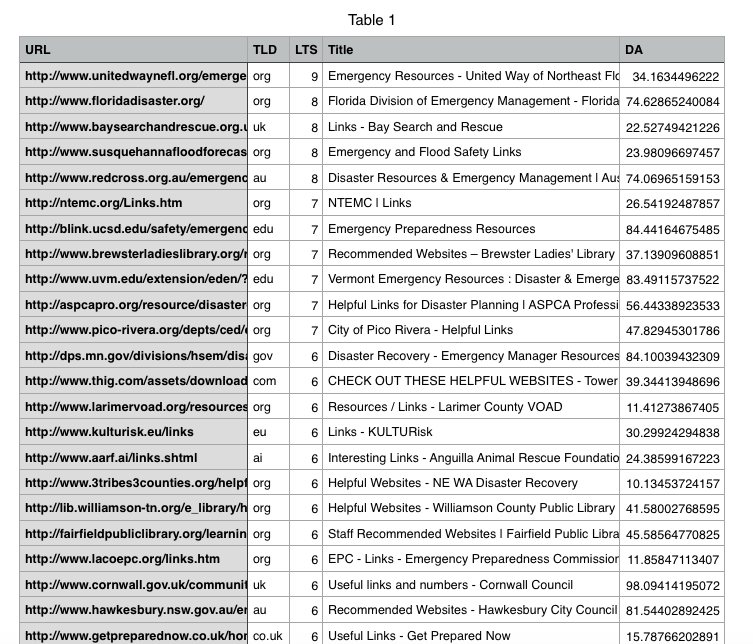 Select Depth - this allows you to choose how many results you want from each query. For example, if you type 4 custom queries and you choose a depth of 700, you'll get 2800 total results. TLD - choose the top level domains preferred for the results. They can be .edu, .gov, .org, .com, .us, .mil or other. Date Range - choose whether you want to get results from the past 24 hours, week, month or year. Send Email Notification - choose whether you want to be sent the report to your email address or to another email address. Exclude Domains from - click or unclick Global Exclusions or Campaign Exclusions (more on this later). When you have customize your report based on your needs in the advanced options and have included research phrases, the tool will give you its equivalent report cost, and show your available credits. When you have decided your options are final, click on Start Prospecting. Once you've submitted a report, wait for around 10 to 25 minutes for it to be ready. Do something else while waiting. The report will give you a number of results based on the number of research phrases and in-depth scope. 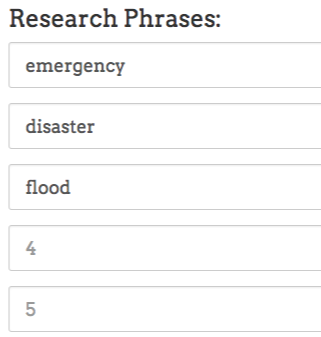 For example, for 5 queries (research phrases) with 700 in-depth, it will give you 3500 prospects. When you have run a few reports, your campaign page screen will look like this. It shows you how many prospects you have for each report. You'll see two options at the upper right side of your report screen, "Export Domain" and "Export Paths". Export Domain feature gives you a list of the domains found in the report as a CSV file (e.g. sharprocket.com.ph) while Export Paths gets you a list of all the URL paths found in the report (e.g. sharprocket.com.ph/links-pages). For each domain, there may be two or more URLs found that are queried based on your link types. See example below. When you click on the number drop down, it shows you two URLs within the website. I suggest you choose Export Paths for page-level link opportunities (resource pages, guest posts opportunities, sponsorships, etc..) and Export Domains for domain-level link targets that doesn't require you to target a specific page to get a link from (e.g. content promotion blogs). This section is to give you some tips on how to use Link Prospector more effectively helping you provide better targeted link opportunities. If you have watched the video I've shared earlier, Garett French emphasized heavily about using non-SEO keywords or words as your research phrases in the tool. The reason is that the topical keywords can give you more page-level link opportunities, as they are more informational than commercial in nature. One method that you can use is by doing a Google search for research phrases to check if they are more topical than commercial. If most webpages on the first page are commercial pages, you're less likely to get links. If you are struggling to add more research phrases, I recommend that you do a Google search for one topical phrase. 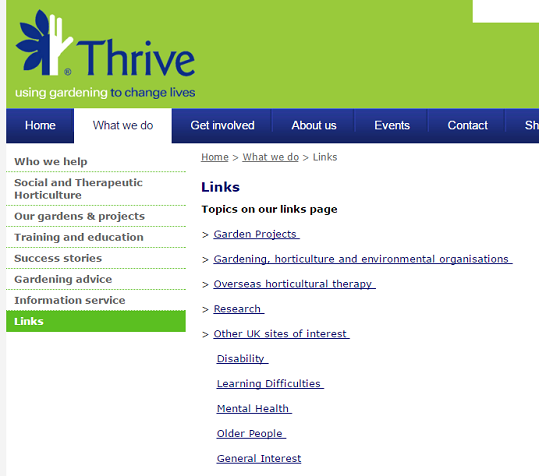 And have a simple look at page titles and descriptions of URLs on the first page search results. You'll then uncover phrases you haven't thought of relevant to your topical phrase that can be used as research phrases in Link Prospector. If you've been very specific with your prospecting, I recommend that you utilizeTLD advanced search option of Link Prospector. 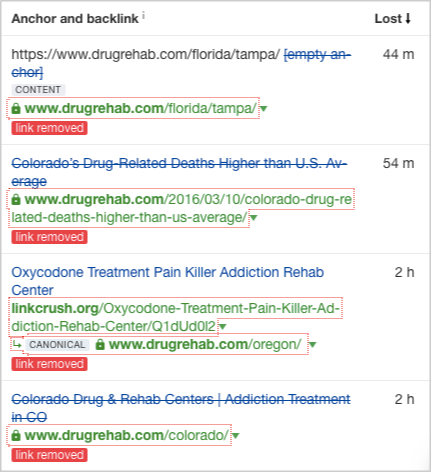 For example, if you only want to find .edu and .gov links pages, it's better to choose .edu as your preferred TLD to filter results to only yield .edu link targets. Before you start creating a report, make a list of sites or pages you need to exclude from searching. These may include social sites like Pinterest, Facebook or Twitter or even the site of your client. This aids you with the cleaning up process. For campaign exclusions, I recommend that you get your list from backlink reports of your website generated from a link building tool like Ahrefs - the report is a list of links that you have acquired already for your website. Make sure you exclude lost links in your campaign exclusions as you may still want to reacquire them in your outreach. The hard work isn't exerted in using the tool, but primarily on what you do after you have collected thousands of link opportunities in your hand - that is qualifying them. Prospect fast but qualify better. The tool gives you the edge of scalability. But the work doesn't stop there. You have to qualify each and every link target based on relevance Otherwise, it'll be difficult for you to acquire links from them (irrelevant to your niche) or most of your link opps will be too bad (not authoritative websites and spammy). In addition, it's important to know the estimated number of quality link targets you can quality from a big report of links. For example, in my list of 10,000+ unqualified pages, we've generated only 400 DA20+ niche-relevant link opportunities. On average, we qualify 1000 prospects based on relevance and obtainability within 15 to 25 minutes. So the total time it took us to conduct relevance test for 10,000 pages was 2 1/2 hours to 5 hours. That may be time-consuming to some of you, so I suggest that you hire a virtual assistant to do the task (a VA with basic skills charges $3 per hour). With a good documentation/process (.doc) on how to quality each link opportunity, you can generate targeted possible links from thousands of unqualified ones. When qualifying link opportunities, some SEOs are heavy on DA numbers as their threshold. It's okay if you've got clients who look at and measure your deliverables based on that. However, if you have the luxury to strategize on yo ur campaigns and its results, I suggest that you give more emphasis on relevance over DA because if not, you'll miss out on good opportunities. Tip: Educate your clients regarding link metrics. Guestographics is publishing visual assets on external industry blogs with the hope of getting contextual links pointing to a website. Coined by Brian Dean, the said link building strategy has been abused used in acquiring legitimate links to their sites. It's effective in industries where bloggers want to delight their audience with new content type (visuals), or want to share data/story/message that deserves to be heard. A lot of SEO case studies have been published about guestographics. 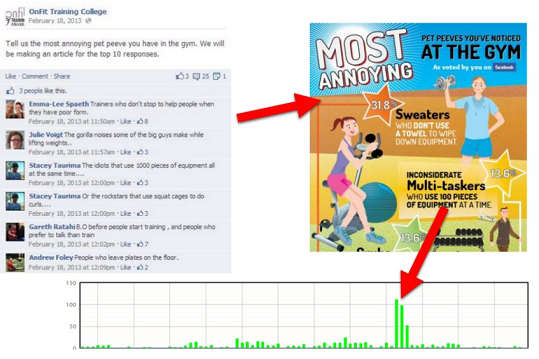 Here's one article where a blogger used guestographics to grow his pet blog's organic traffic by 975% within 6 weeks. To execute this link building strategy, Brian Dean shows a five-step process that you can run smoothly in your industry. I recommend you read Brian's entire guide to get further details on how to execute each step above. But for you to get something new today, I'll show you 4 actionable tips on how you can improve the strategy further and also share with you other areas where it can also be applied. It's easy to copy and paste an outreach email template from an SEO blog and replicate it on your own outreach campaign. However, without knowing the principles why it worked in the first place, it can only give you initial success. Emails like I like your blog and found you on [insert link source] or I stumbled upon you on [source] and thought that you'll be interested in my infographic hammered many inboxes of industry bloggers and publishers. They mostly go to spam folder and don't help get returns in email outreach. [ASSET TYPE] for [WEBSITE]: [POST SUMMARY]. The reasons it's effective is because publishers can easily glance what content type you're trying to pitch to and what your asset contains by simply reading your subject line. One-punch line can help improve your emails' open rates. But effective outreach doesn't stop there. It's important to include specific details that only that website has (Ross calls it email fragments) which gives a personalize hook to your email that will make it look like a one-time sent off email rather than a blast-off one. .
To test how important email fragments are in linker outreach, I sent a bad outreach email to a high-authority industry publisher with their Website Name not correctly spelled out. Scheduled it to be sent at peak hours. Then after a hours, I received a response from the editor. Five months later, I sent a similar pitch (but with the correct spelling of the website's name) to the same editor. This time, I received a positive response wanting to publish the visual asset that we've created. They are asking for a custom intro and jpg/png version of the infographic. That may be a lame test (just one email) but I believe there are hundreds (if not thousands) of publishers checking their email inbox and choosing which email deserves a response based on how the pitch is structured and personalized. The more you include email fragments in your pitch, the better results you'll get. Publishing your infographic is finishing the first half of the battle (content creation). You have to put more eyeballs to it in order to get traction and naturally earn links - that's the second half (content promotion). As you know, people put embed boxes after infographics. This allows other bloggers to republish the exact visual asset on their own blogs without asking for permission from the original publisher. This approach initiates the promotion of the visual asset. Now take this step to the next level by giving a code to bloggers that'll allow them to put their own embed box on their blogs when republishing your visual asset. The publisher who then embeds the asset will also have an embed code with your details. When bloggers look at your republished content and are interested to do the same on their own blogs, it's easy for them to republish it. That way, it multiplies the promotion two times without having to reach out to bloggers who have read/connected with republishers. When you pitch bloggers, you only give them an attachment of the image (png/jpg) for them to upload it on their sites. But it'd be much easier for them to publish the asset it you just send them a code. Let bloggers share the opportunity of links with you in the embed code. It looks like they've partnered with you in the promotion (co-marketing) when the visual asset is republished on another blog. Customize the code by replacing Blogger with the Brand Name of the blogger and Your Blog with Your Brand plus links back to respective sites. It's a win-win situation. You get a link, the blogger acquires a link as well. I normally see long infographics that require several mouse scrolls to see the entire image. It's tiring to look at it on your screen, right? While this denotes authority in some industries (because it's filled with a lot of data), what I've realized is that not all visitors will dare to check all the details inside the image. They only check the title and get the important facts. One approach that you can do to not overwhelm your audience with too much content is to slice out a long infographic into two to even four micro images that won't break the entire message of the content, but rather help visitors pleasingly get each detail on a micro level. However, it may not be applicable to all types of infographics, such as the case with instructographics or how-to visual assets because it obviously breaks the process of how to complete/do a "thing" (e.g. 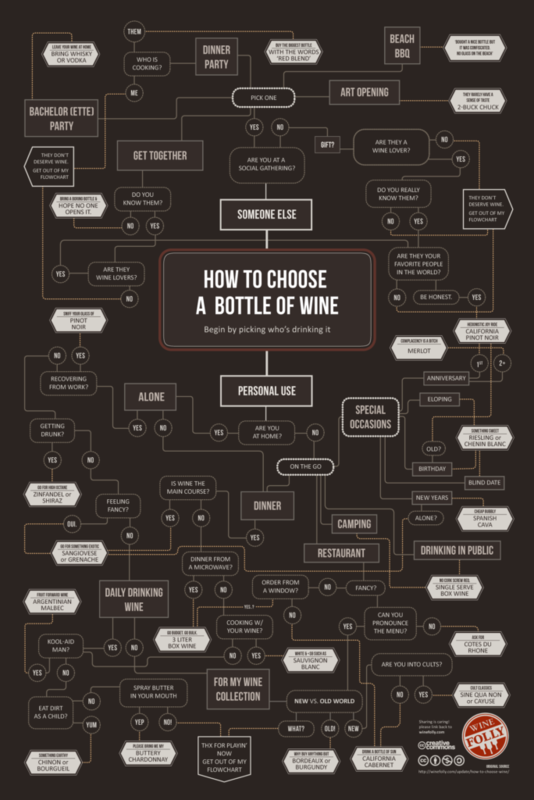 how to choose a bottle of wine). Nonetheless there are infographics that you can break down into micro pieces, like those with five or more data points, that are contextually related but can be divided into two. For example, "How Technology in City1, City2 and City3 Impacts Teen Dating and Women Violence", you can create micro images for Teen Dating and Women Violence. This is the case when both these two main data points can stand out independently in messaging. Local-targeted links still play a huge role in ranking a local website for city-specific keywords. There are a lot of link building strategies out there that helps you build local backlinks, such as local sponsorships (events, local clubs, schools), local alumni, student, and employee discount programs. I’ll let you in on a secret. There's one link building tactic that is underrated in the SEO community - that is, local infographics creation and promotion. It's common to see an industry-specific infographic, but having both industry-specific and local-targeted visual is rare. Now the question is, how you can localize industry-specific visual data? Scour out these sites using local and industry keywords and see if there's a local and relevant public data source. As an example, we've sourced out a research study about teen dating, abuse and bullying in New York, New Jersey, and Pennsylvania by using the keyword, "bullying". The next step is to assess the relevance and credibility of the public data piece by looking at the version history. This helps you check whether the information is updated for the current year. Lastly, transform the public data into a visual data either by hiring a freelance infographic designer or designing it yourself. I hope this four-tips article gives you some spark in using guestographics effectively as one of your main-go link building strategies. As I've come across several resource prospecting campaigns, I always notice little things that makes part of it more efficient. Efficient prospecting means producing a highly targeted output with the less amount of consumed resources (labor, time and cost of tools). That itself requires experience through observation. So, here are four advanced prospecting techniques that hopefully can improve efficiency of your campaigns and help expand your list of link opportunities. When starting a new outreach campaign for a client, the first initiative is to scour new link opportunities on the web from scratch. While this is good if it's a new industry you're taking on, isn't it wise to go back first to your previous list of industry-relevant opportunities and check which ones could be reuse for the new campaign? Not only does it save time, it also saves a lot of labor consumption prospecting for links. Website categorization does help with this. By using tags, you'll be able to categorize prospects from a topical perspective. 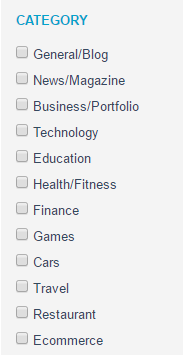 What you need here is a defined hierarchy of topics to begin with. For me, I recommend BOTW as starting point, given that they have four or five deeper-level topics such as Pro-Choice Abortion (Society) and Eating Disorders (Fitness) which is extremely important if you've got clients from a very-specific niche. Make sure that your team agrees on certain topics to avoid any confusion when filtering your list. Having several but similar terms (i.e. I.T, Information Technology and Technology) as your tags is a trouble. The next time you need automobile blogs, you can pull them off from a list within a few minutes. Backlink research is the process of identifying current and potential competitors and getting pages/sites that linked to them for link opportunities. SEOs normally identify these competitors through Google search by checking which pages are currently ranking for target keywords or creating a list of competitors' sites coming from clients themselves (as they already have ideas which brands to compete with). While these two approaches are best practices to find your most relevant competitors, you may still miss out some SEO'y content (as what Ross Hudgens coined it) that you should reverse engineer on. SEO'y content are pages or content pieces already linked out from a resource page you're trying to reach out to, that have earned tons of links from several linking root domains. Looking for SEO'y content can expand your vertical prospecting, either from a horizontal or vertical perspective, as they aren't easily found through Google search or normal prospecting. One way to identify these SEO'y content is to check discrepancies in description of links. What I mean with discrepancies is that there are resource pages with full descriptions for each link and there are some with links with unusual descriptions. I got this idea when I received a response from a webmaster putting a link to our client's page from their resource page. If you skimmed the email above, you'll notice that there's nothing uncommon with the email, only does it implies that the webmaster is in a hurry not to include a description for our link - the reason she requested if we can create one for them. Discrepancies in link descriptions—either the description is not complete or not in format with other link descriptions (see image below)—are signs that the resource page had recently given a link to an SEO'y content. TigerMobiles.com and US Dish links have Titles as their descriptions while other links have longer texts that describe what those pages are about. It means that these SEO'y content are actively pursuing relevant link opportunities (primarily resource pages) in the same manner that you do. If you could scour their existing links (some may have been recently just acquired), it will help you gain link targets that are receptive to content suggestions. Thus, giving you higher link acquisition rate in your outreach campaign. Clicking on SEO'y content links and assessing if they have relevant links you can potentially use as link opportunities is a great activity you can add to your link prospecting process. The best way I recommend to initially check if these SEO'y content has good number of linking root domains is to run them through LinkMiner. The tool checks all external links on the resource page and highlights how many domains are linking to a certain external page. In link prospecting, the more you spend time checking for unnecessary links, the more you waste time that should've been otherwise spent pursuing for the right link opportunities. What I've noticed with newbie link builders is that they often click on document links (pdfs, words/spreadsheets ready to download, etc..) that are consuming seconds (if not minutes of their time) which are all useless if your main targets are links or resource pages. The recommended approach is to use a tool that'll automatically unclick these document links once you start qualifying your list of link targets. For example, if you have a list of pages ready to be qualified for certain metrics (DA, relevance, obtainability), copy and paste them in an opened tab tool (e.g. URLOpener.com). Then install Linkclump and use the filter option to add words that'll exclude links when it opens new tabs (pdf, doc, xls, etc..). Once you right click and drag external links from URLOpener, the action itself won't open document links as new tabs given that you excluded certain words in the tool's setting. If you are familiar with your industry, it's easy for you to know what phrases are commonly used as titles in resource pages. For example, in the transportation industry, you'll see a lot of "getting there" pages. These are phrases that are only specific and be applied to a certain vertical. But one question that may arise here is, what if it's a new niche I'm taking on, how can I identify niche phrases I can use for expanding my prospecting approach? The best way to do that is to collect the titles of your first set of resource pages (I'd recommend that you get 80 or 100 links pages from your list for optimal results). Use Wordcloud to see common niche phrases. Ensure that you click phrases only and display frequencies checkbox. Phrases only feature does what you need from tool - to give exact niche phrases while display frequency shows you the number of times a phrase appeared in the list. If you are clever enough about using niche phrases, your list of link opportunities will expand.